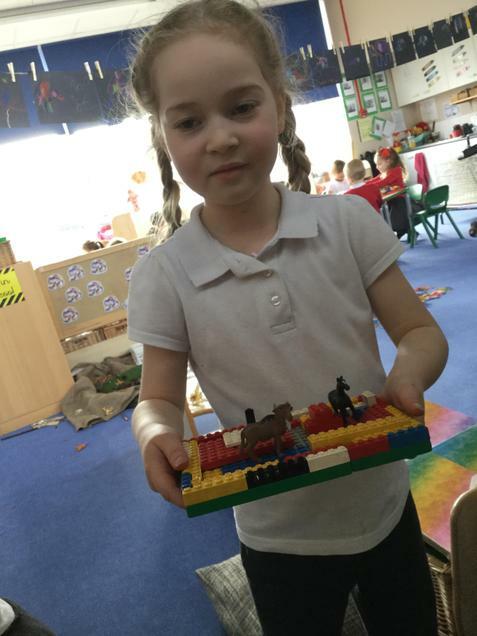 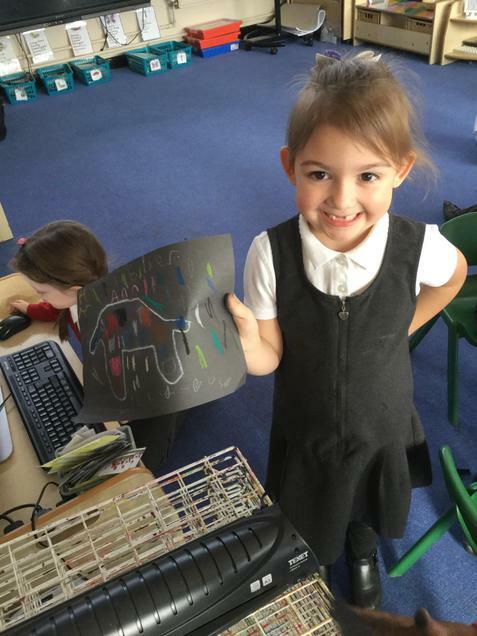 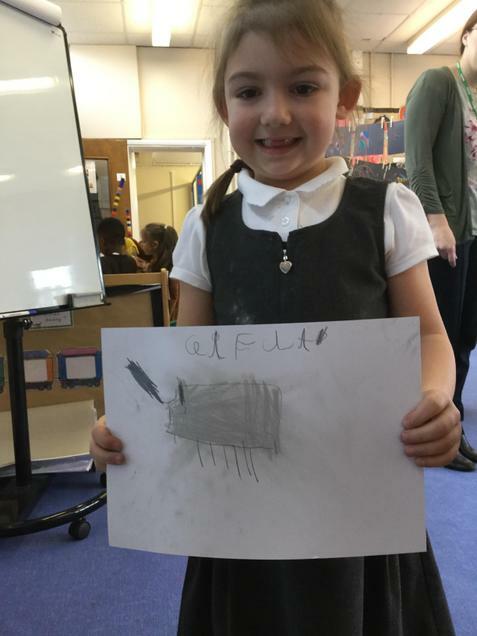 This half term, our topic is How Does a Zebra Get Stripes? 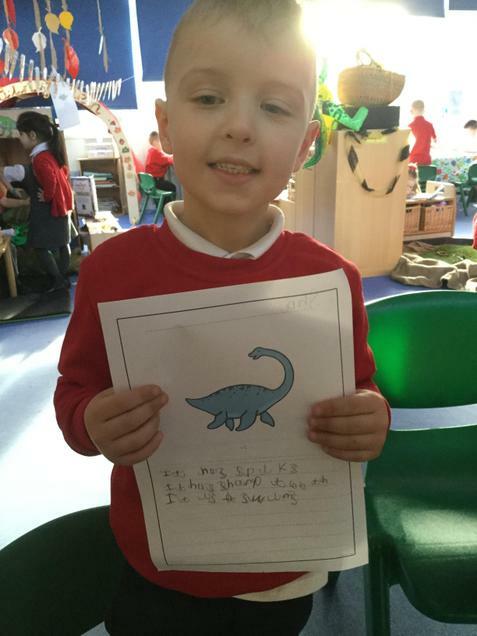 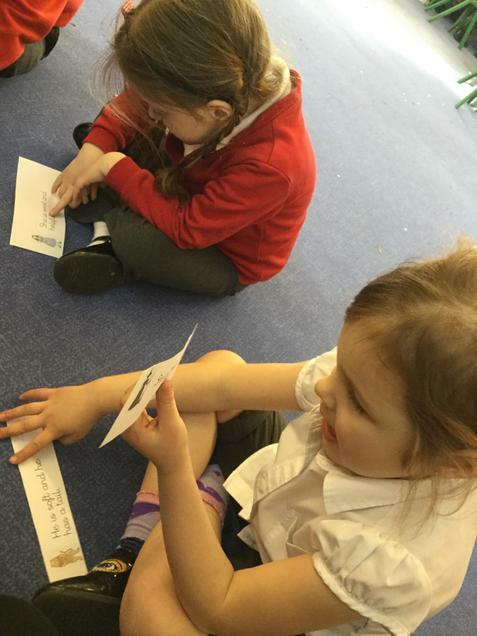 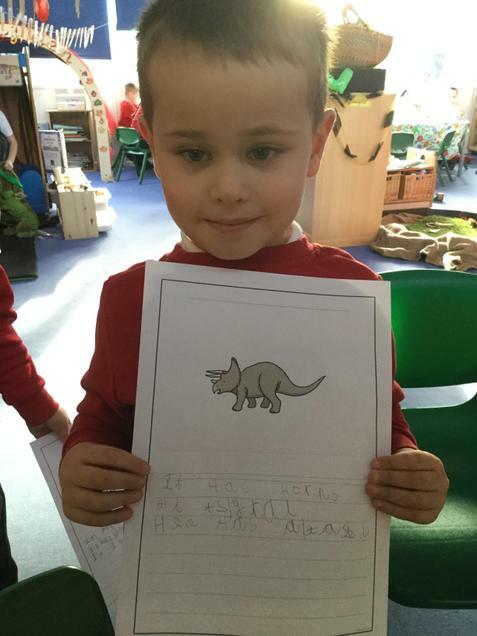 We launched our topic with a letter from the zoo explaining an animal had escaped! 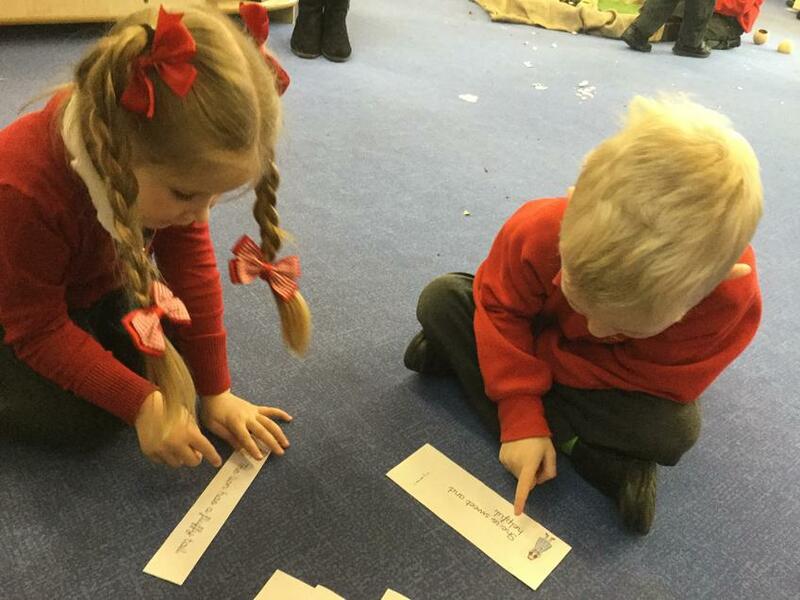 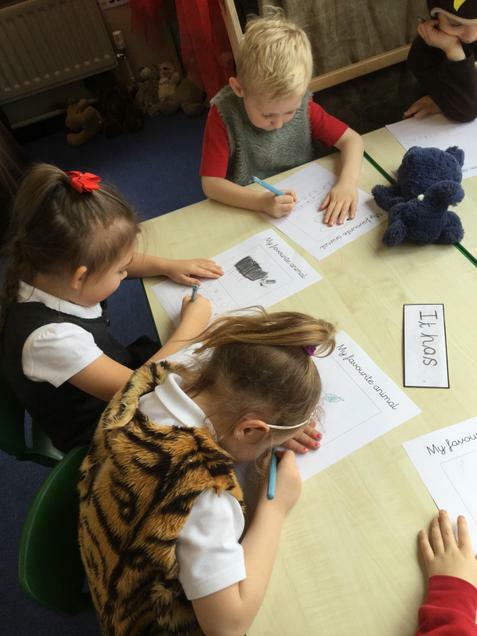 We explored the clues and predicted which animal it could be. 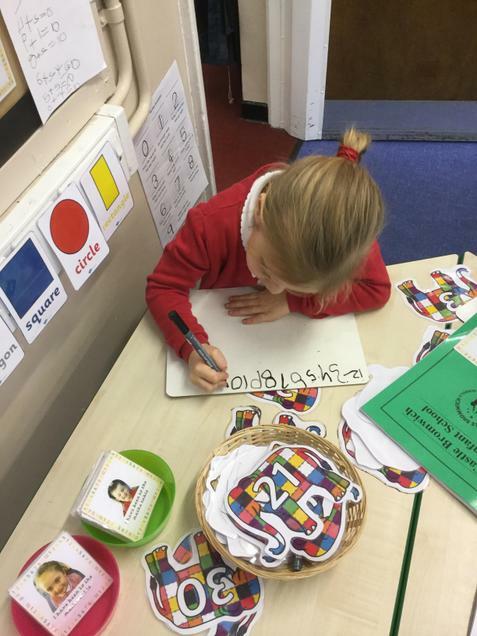 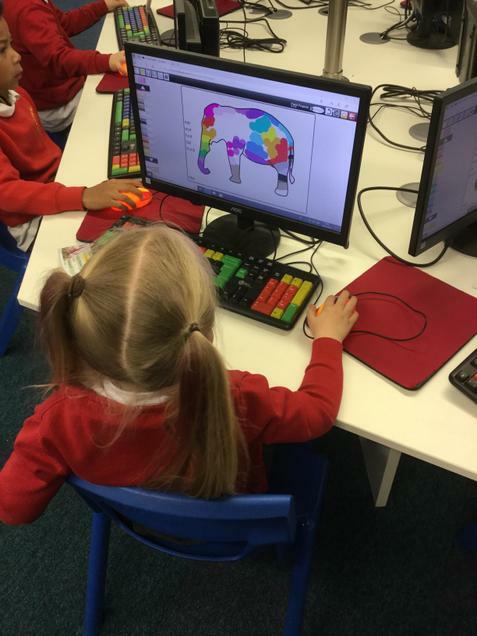 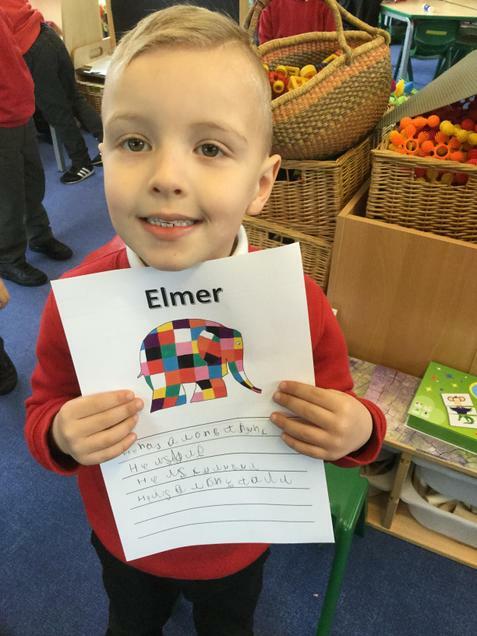 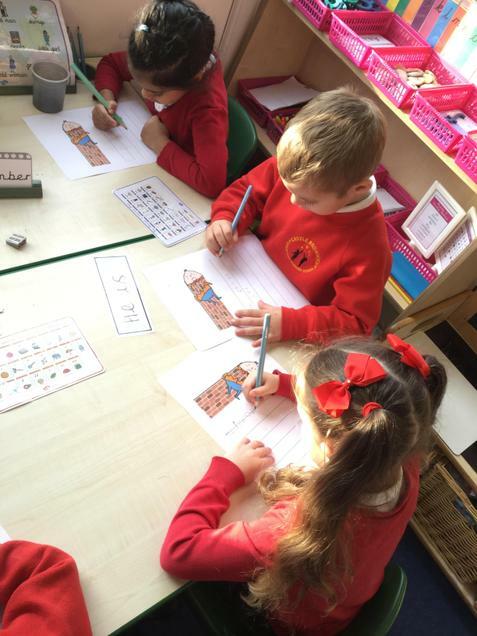 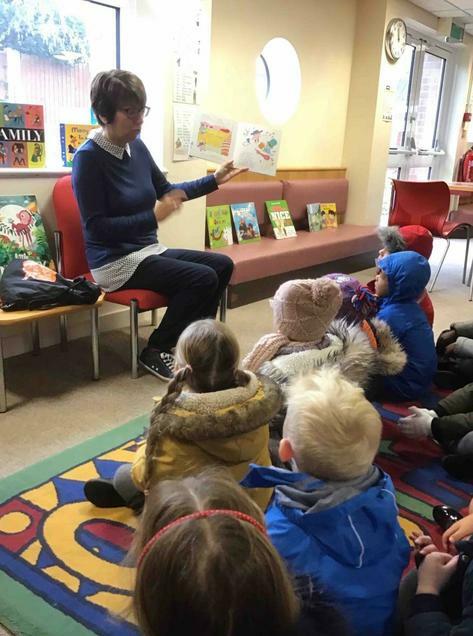 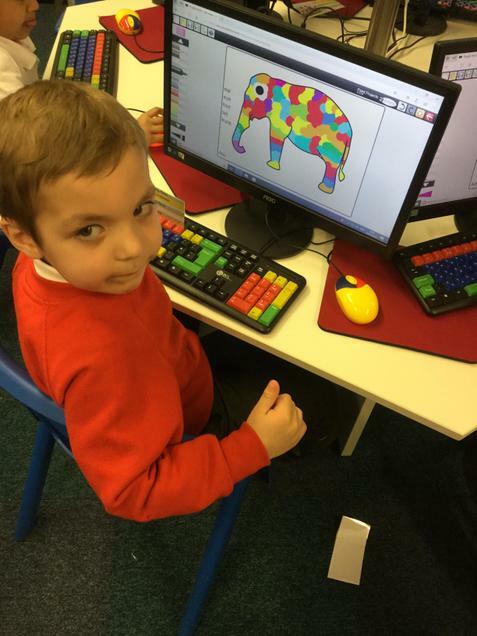 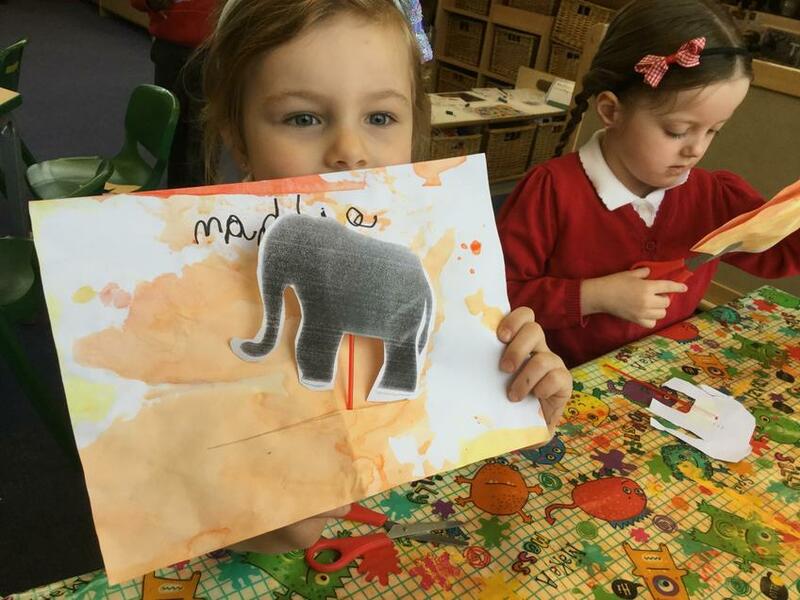 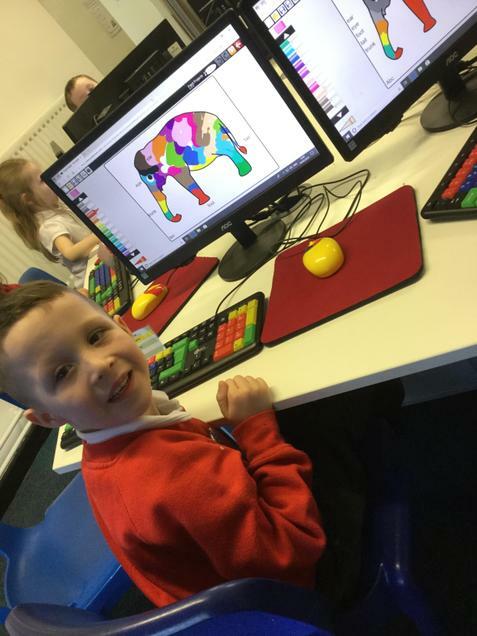 Our Talk for Writing text is Elmer and the children loved learning all about elephants and why it's okay to be different. 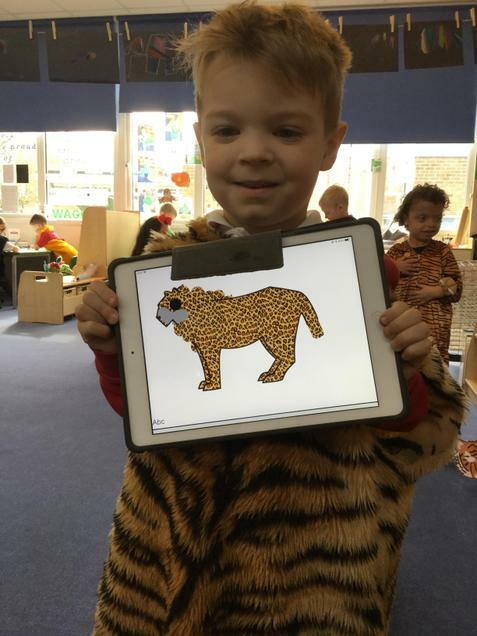 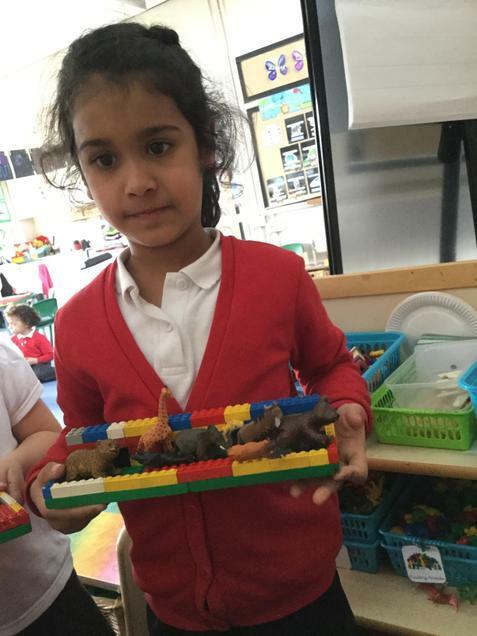 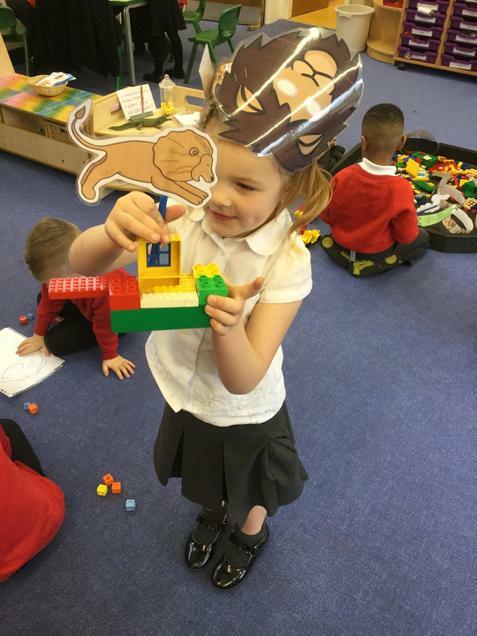 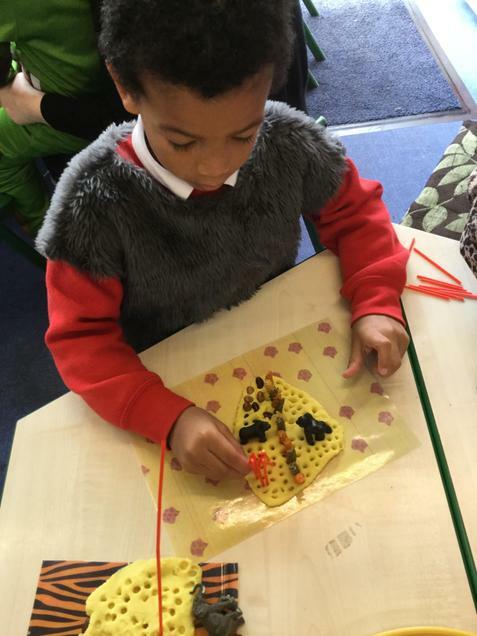 In order to build ideas to innovate our story, the children came to school dressed as zoo animals! 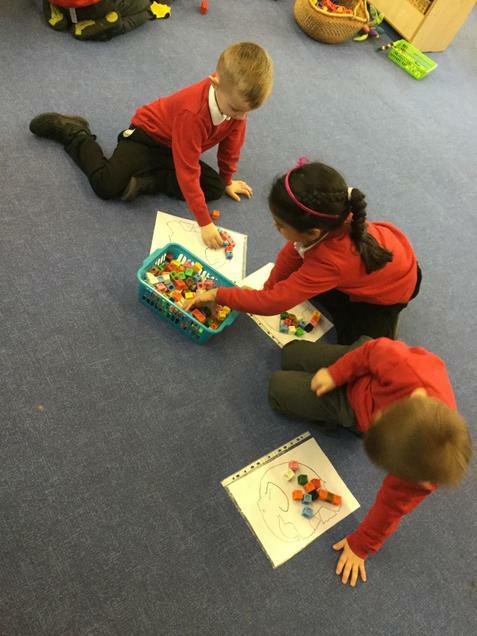 We gathered lots of ideas to change our story of Elmer to a different animal. 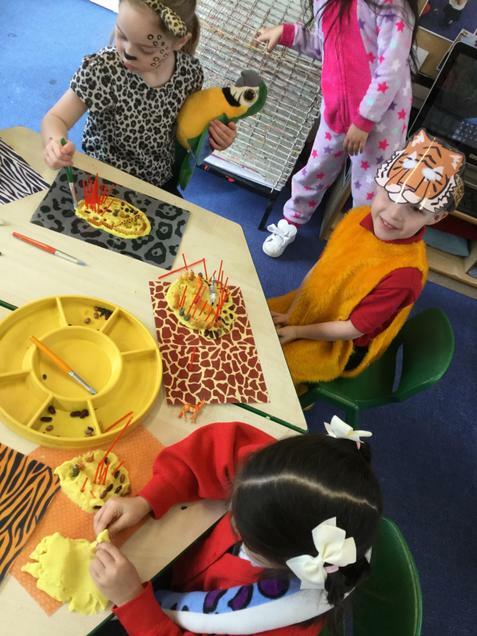 The children loved being animals for the day! 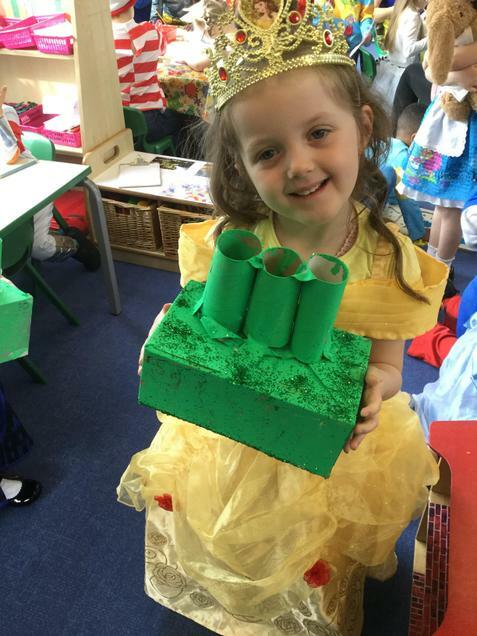 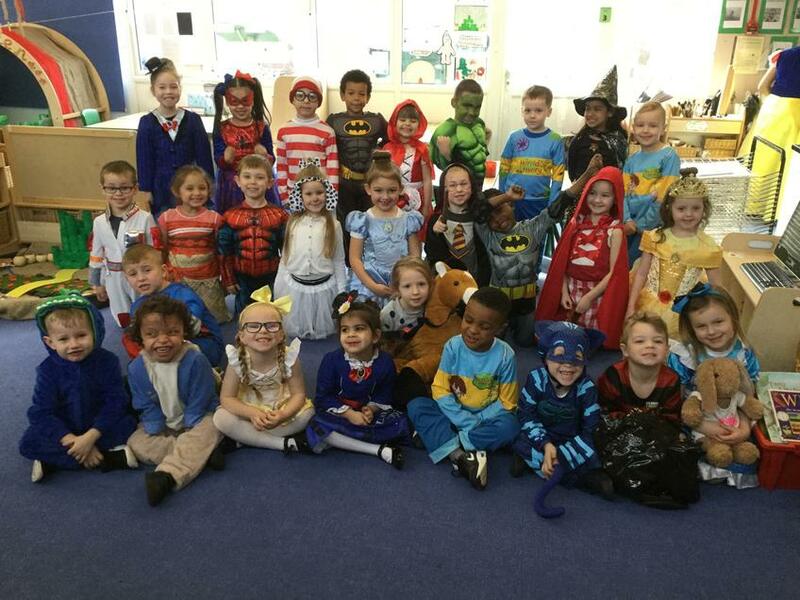 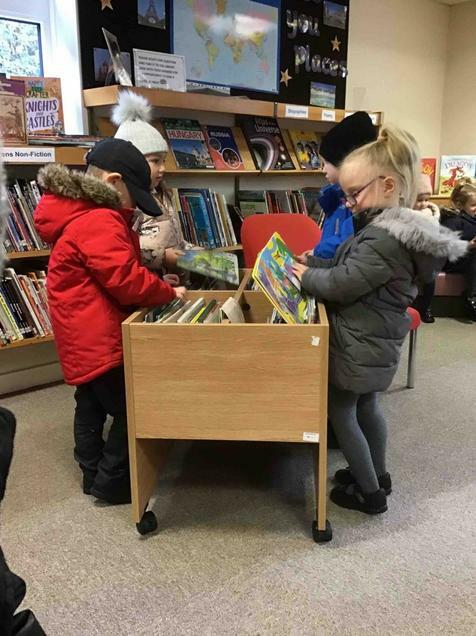 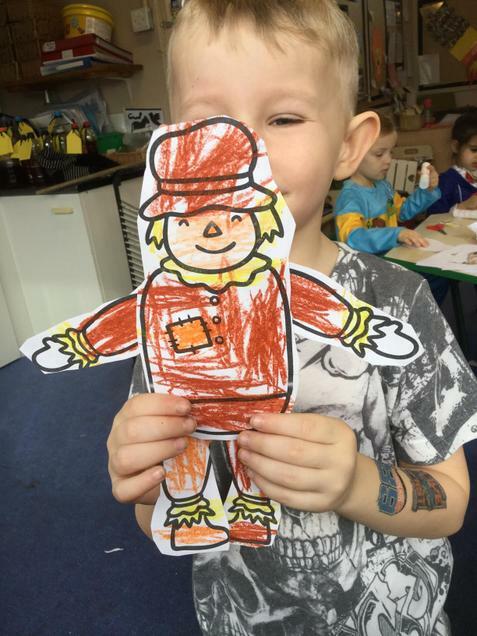 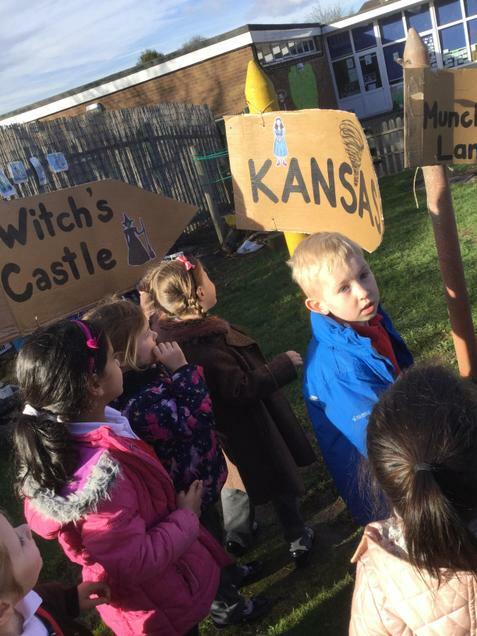 This week we have been celebrating World Book Day in school. 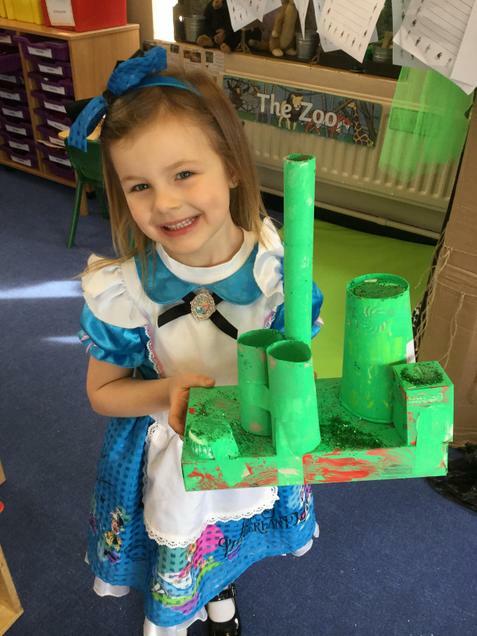 Our novel study and theme for the week was The Wizard of Oz. 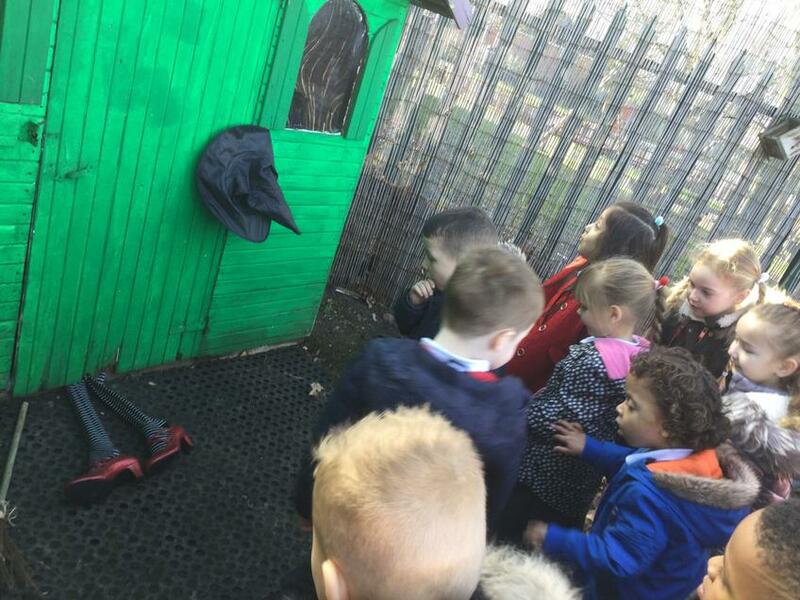 At the beginning of the week, there was a huge storm and we found something very strange outside! 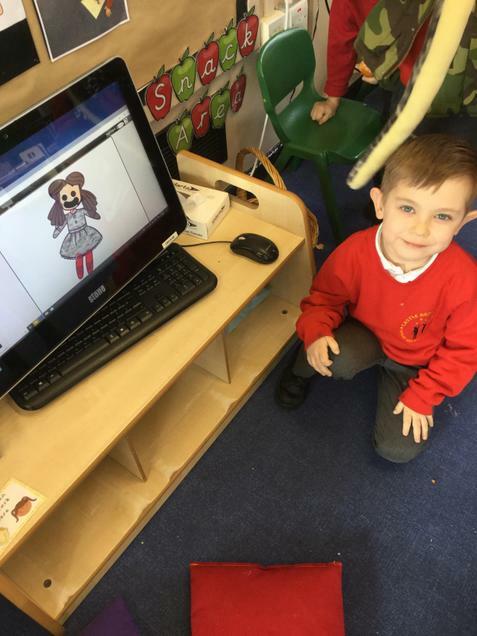 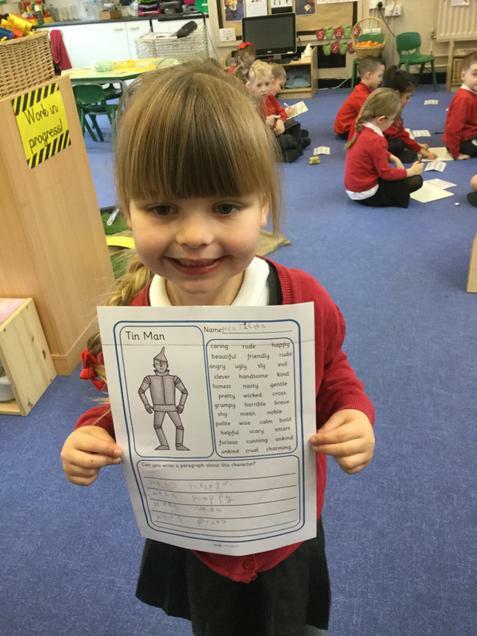 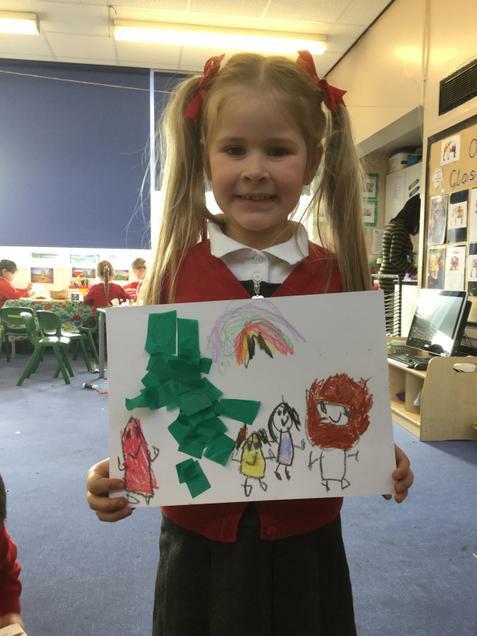 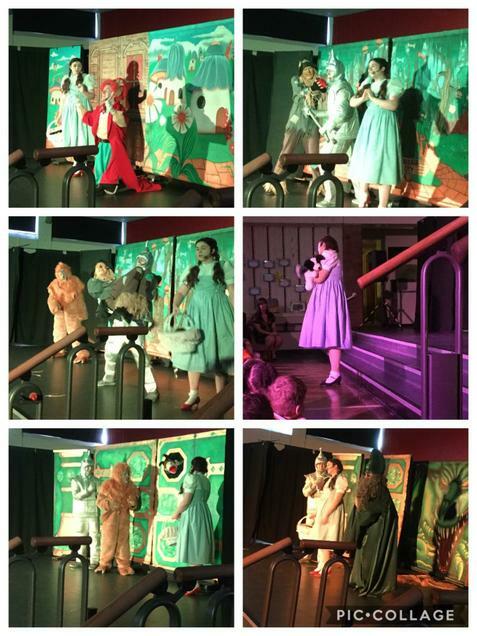 We learned all about the characters in the story and even had a theatre performance of The Wizard of Oz. 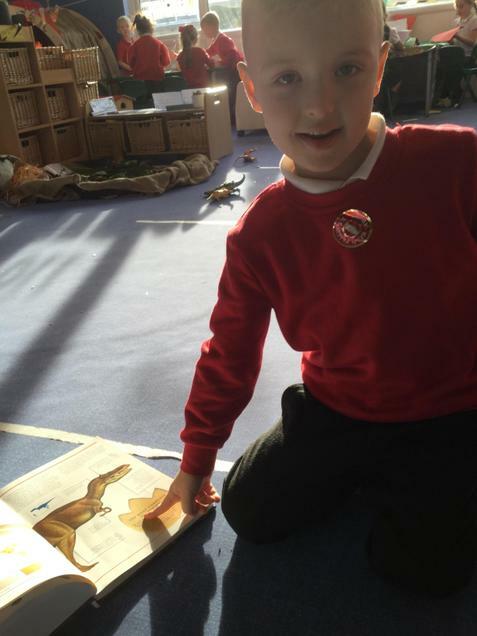 We have enjoyed reading and listening to our favourite stories. 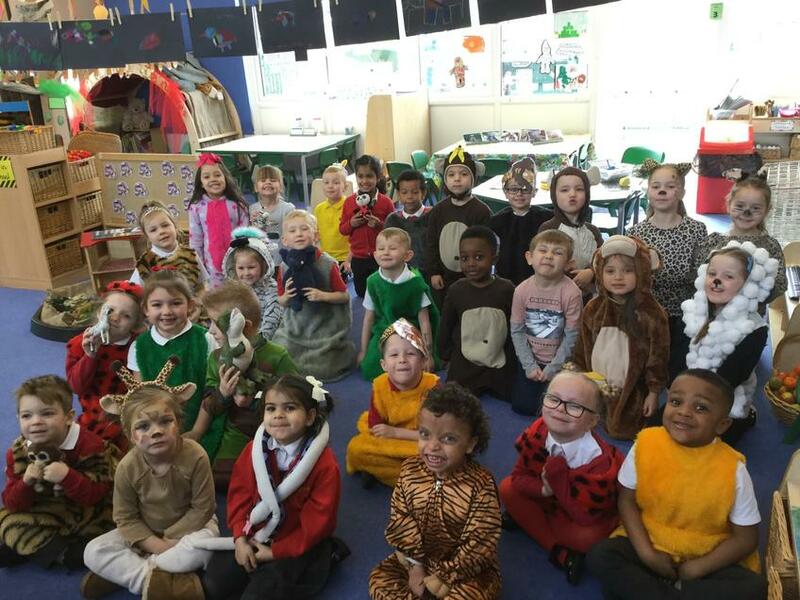 At the end of the week, we dressed up as our favourite book characters. 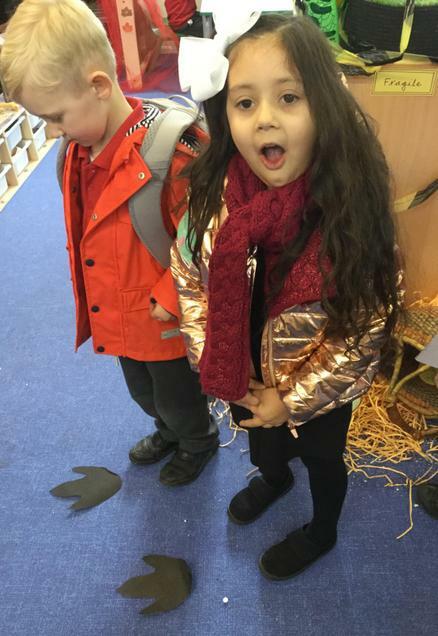 What a fun-filled week of celebrating how much we love reading! 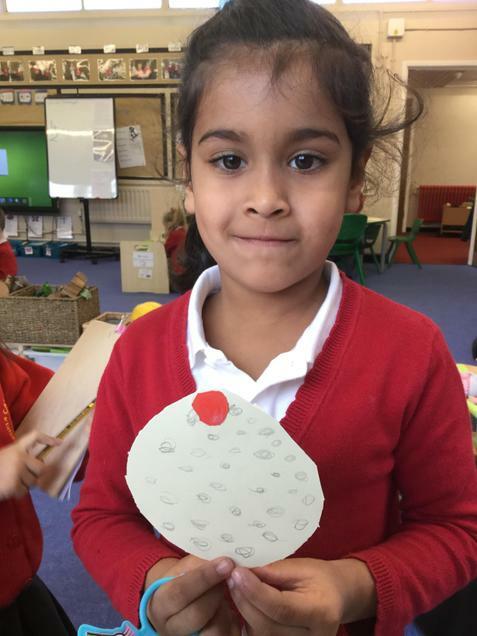 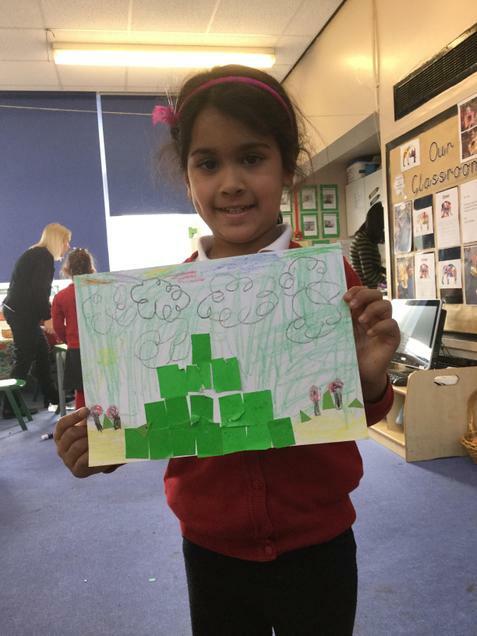 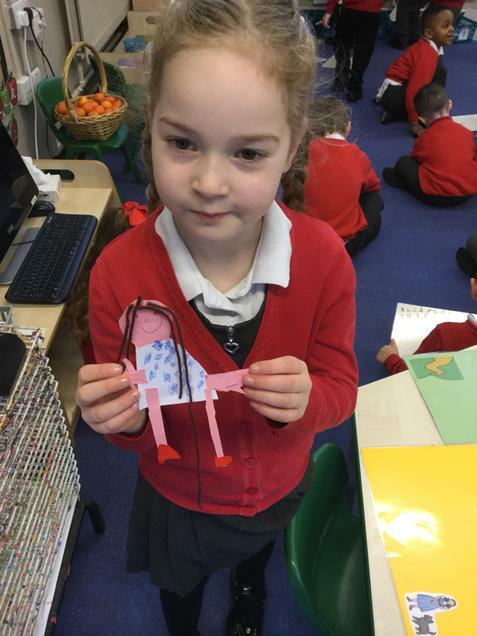 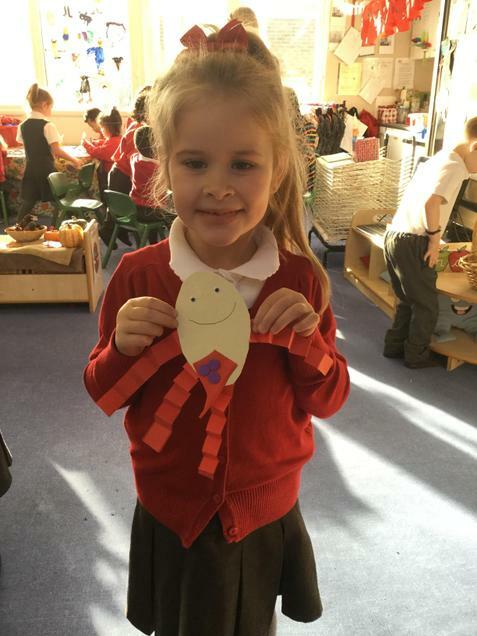 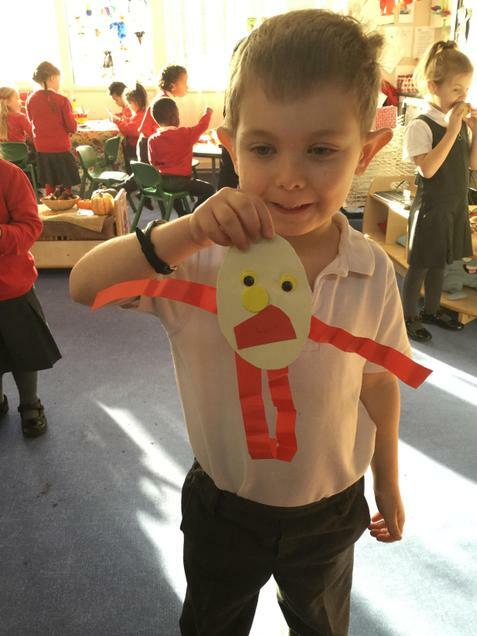 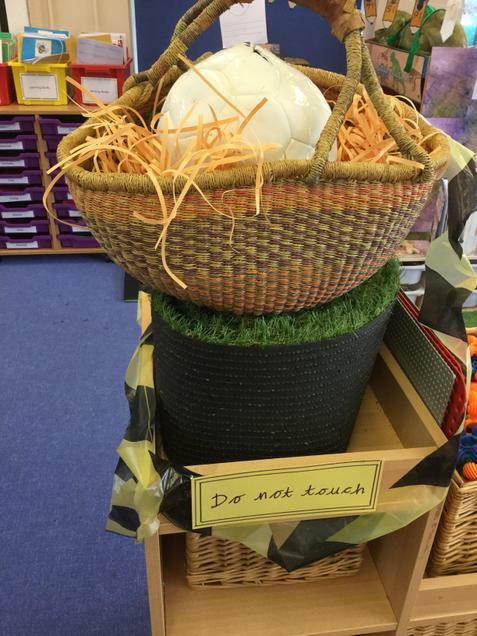 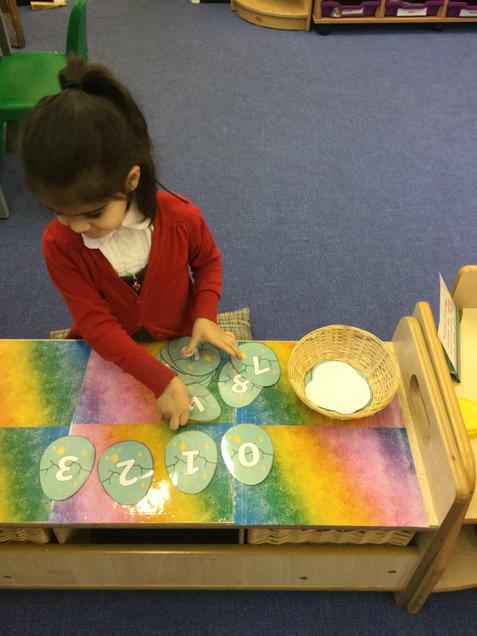 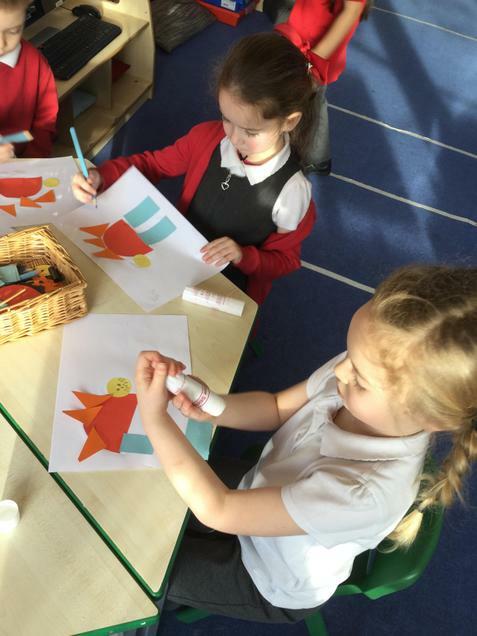 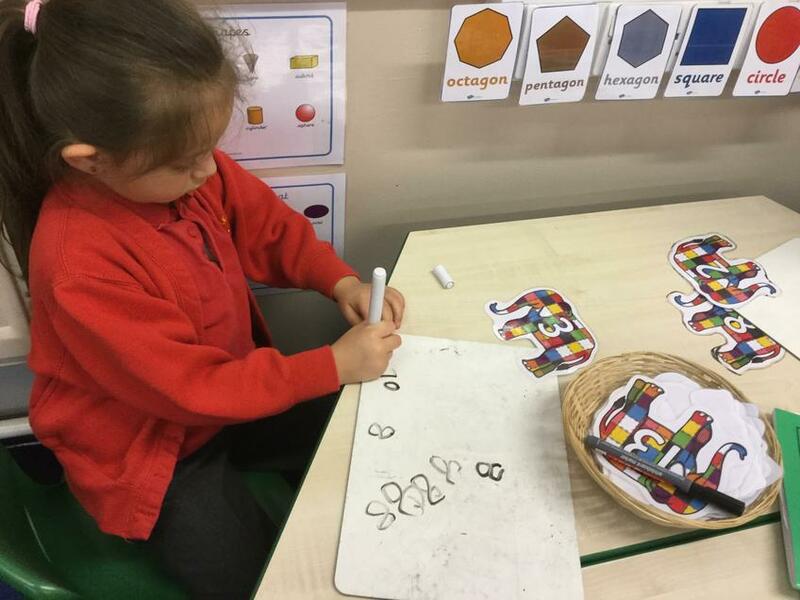 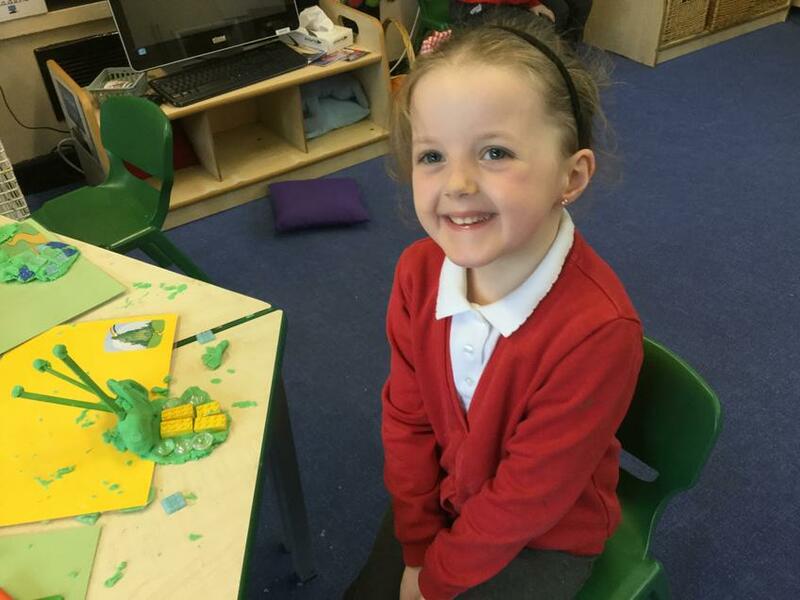 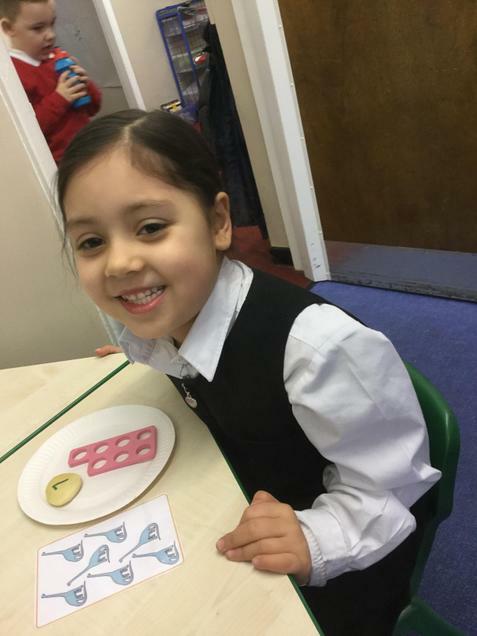 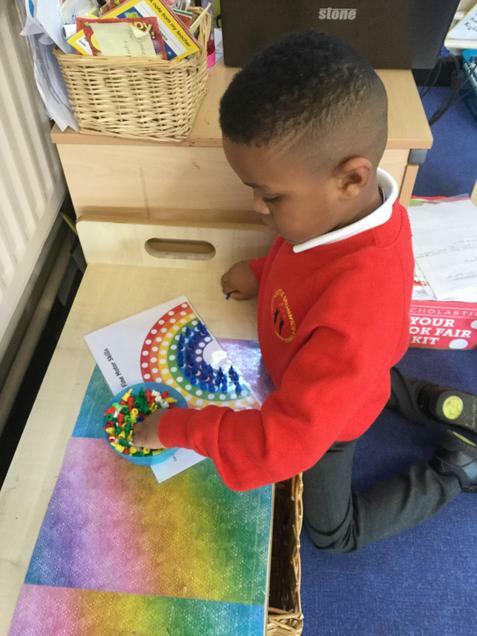 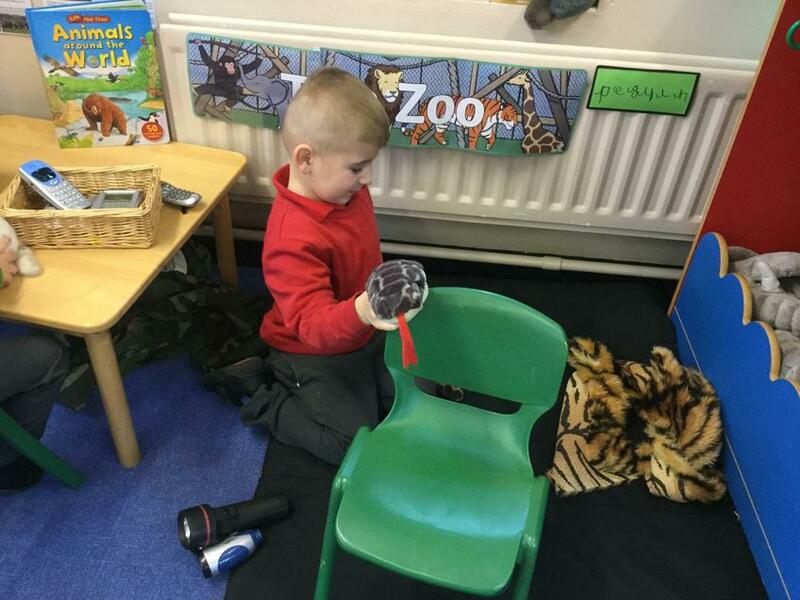 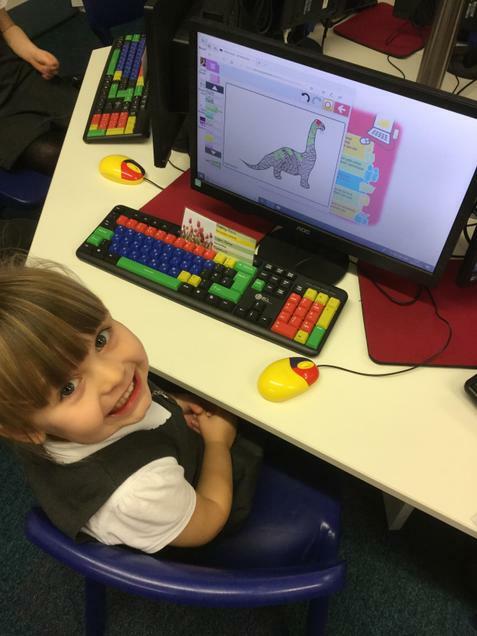 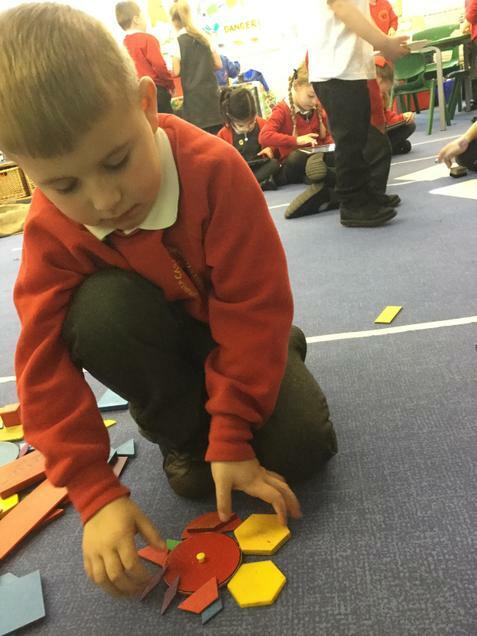 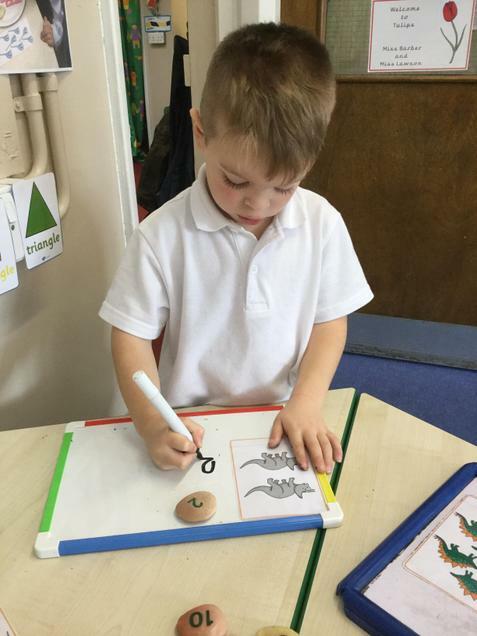 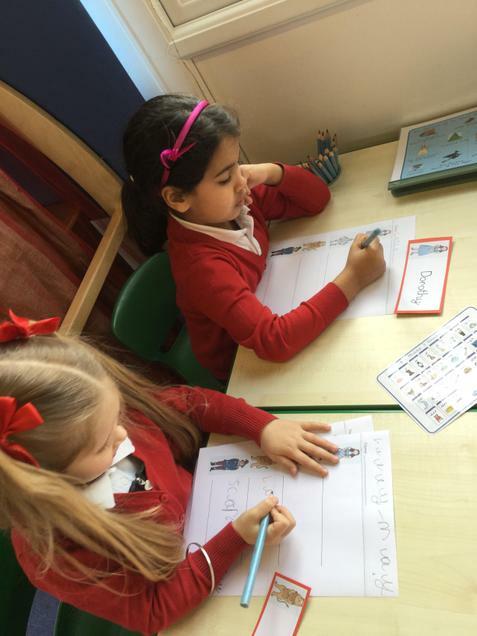 Tulips class had a shock when we came back to school to find an egg in our classroom! 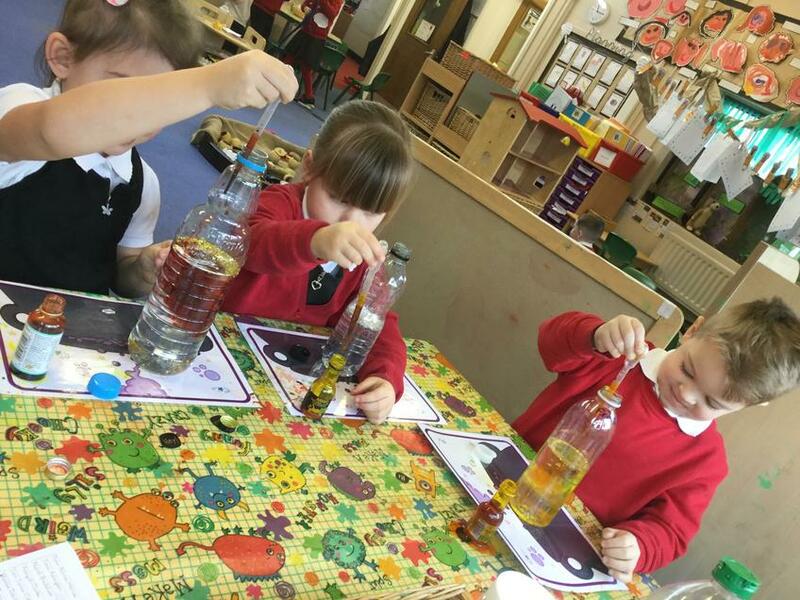 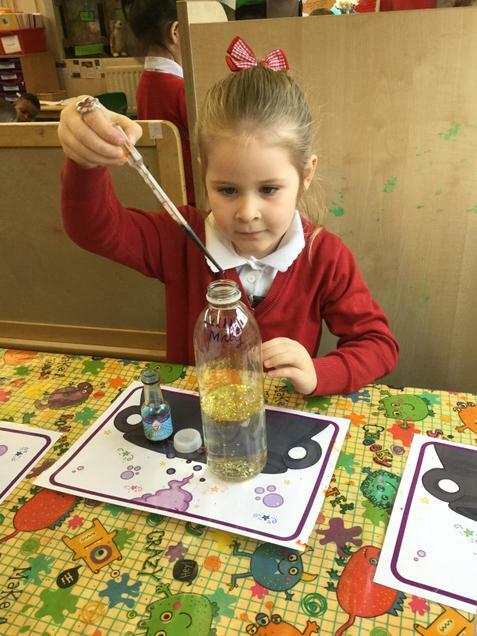 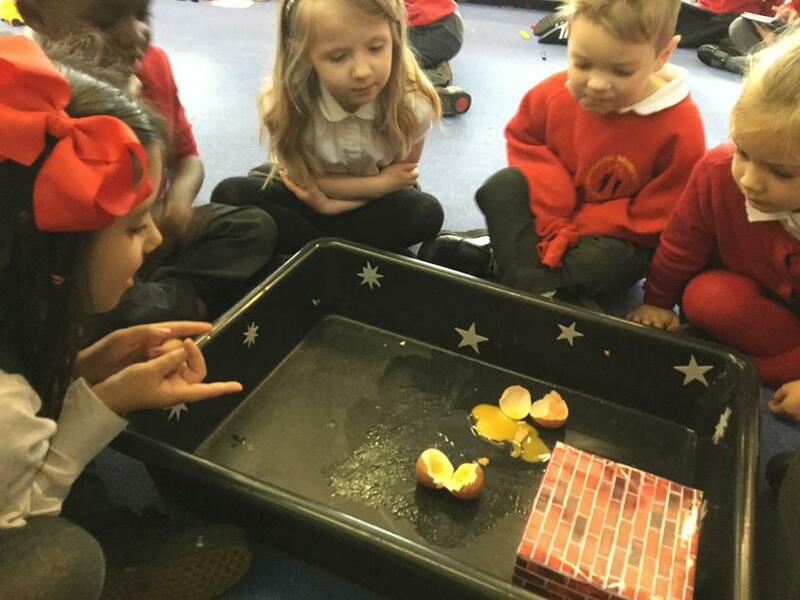 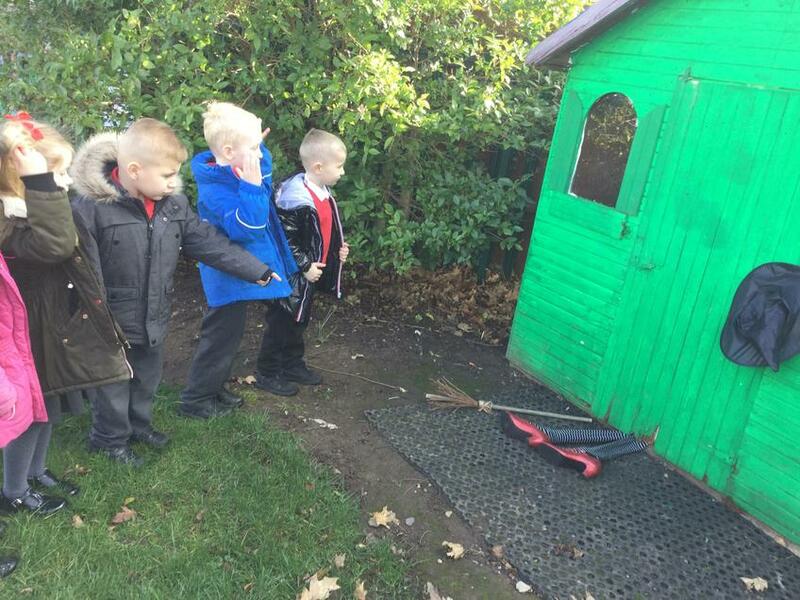 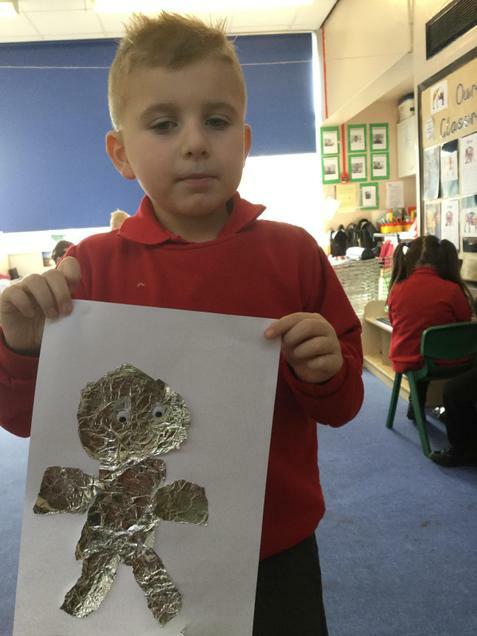 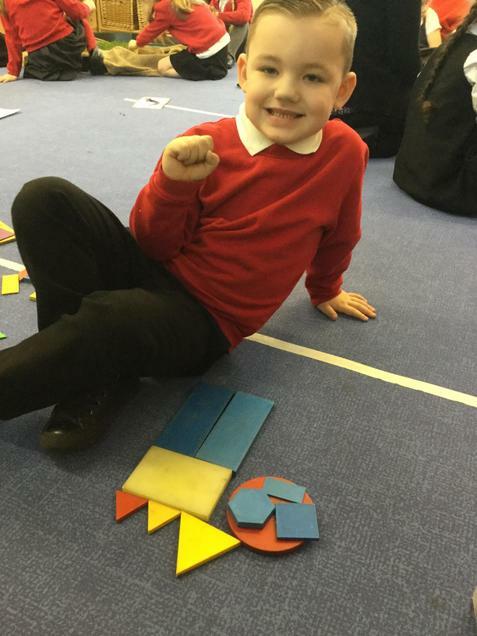 The children were very excited about their learning and became investigators to find out what we thought was inside. 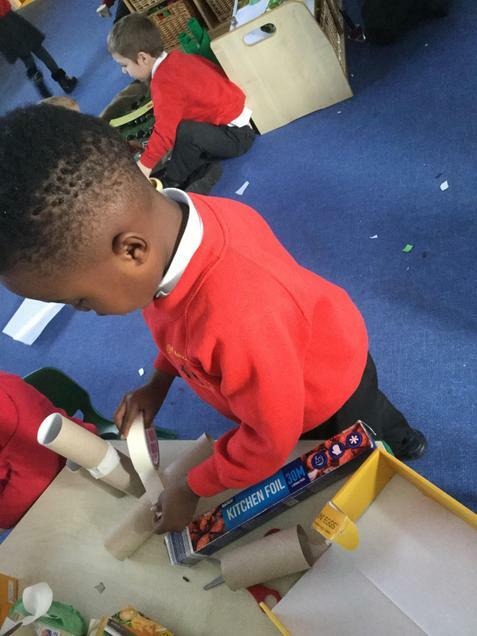 They had some fantastic ideas. 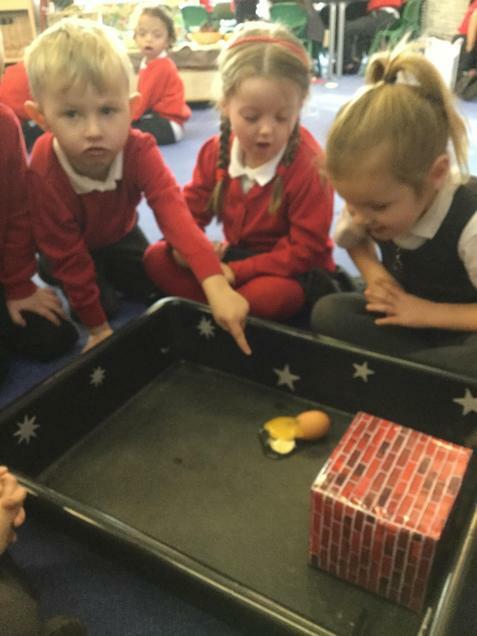 At the end of the week, we found our egg had hatched and there were footprints in our classroom! 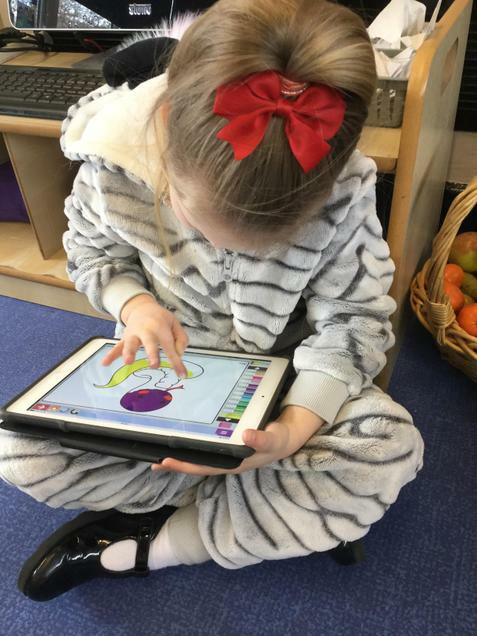 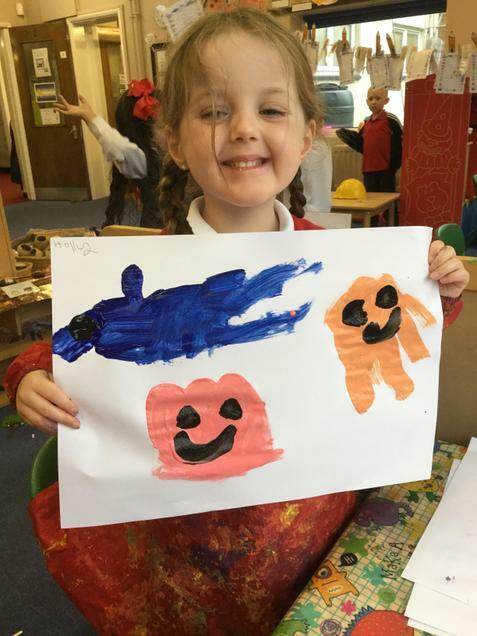 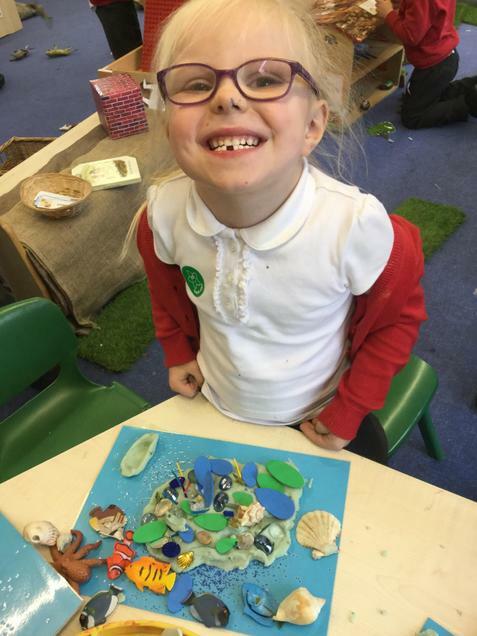 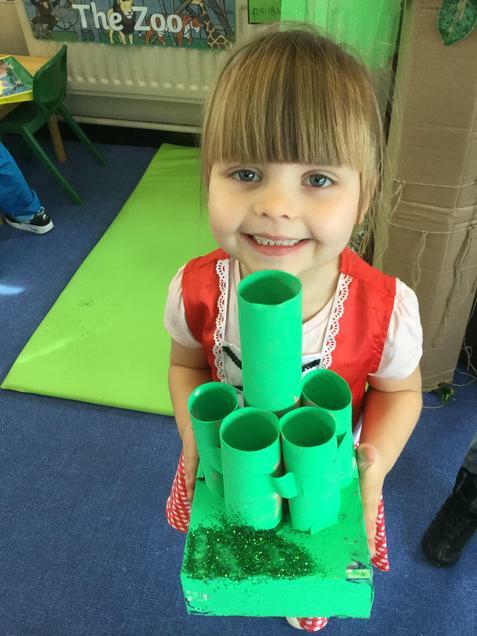 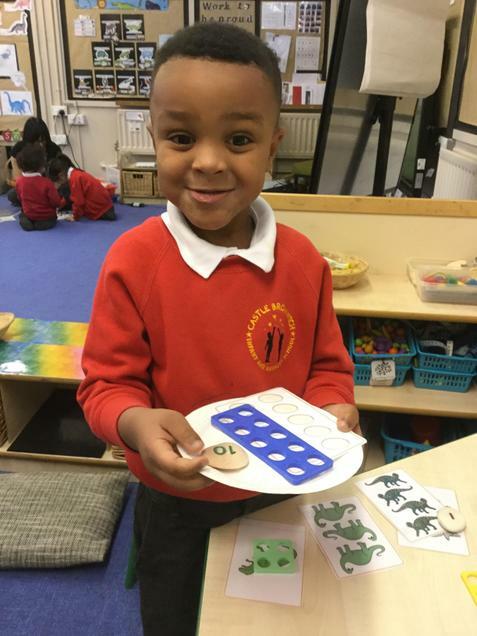 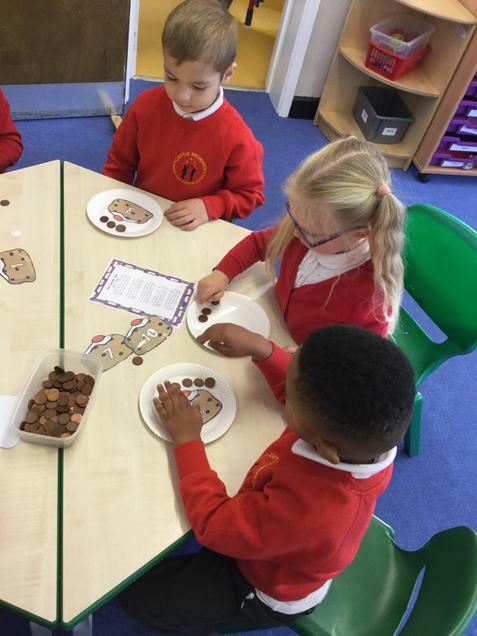 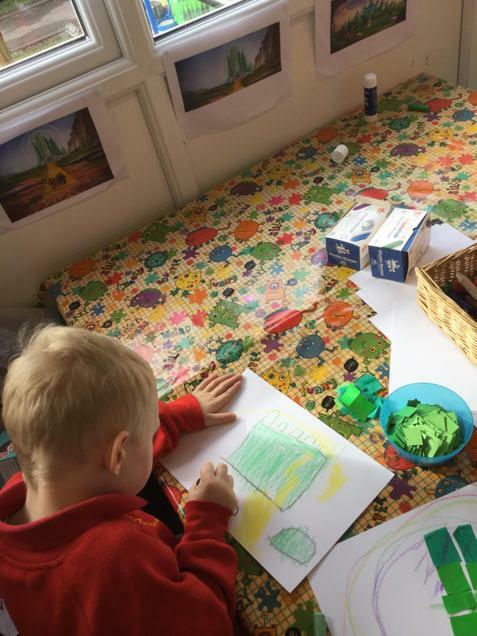 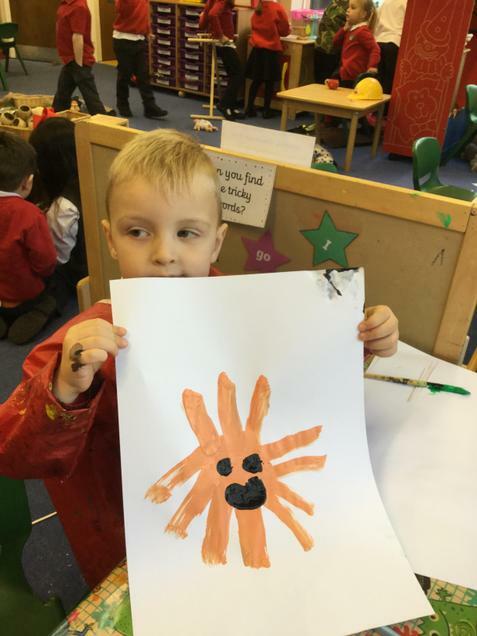 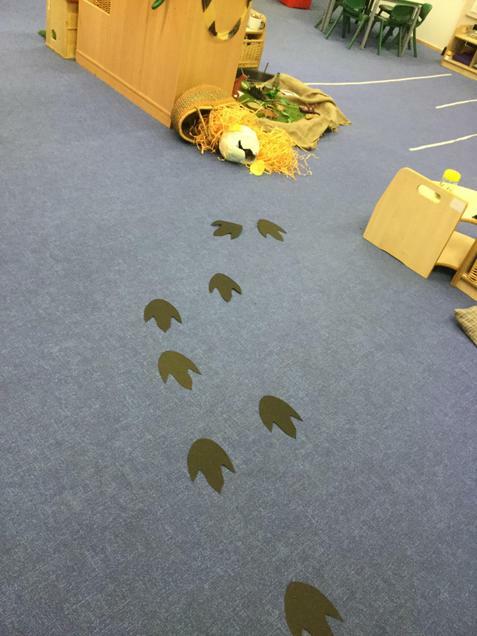 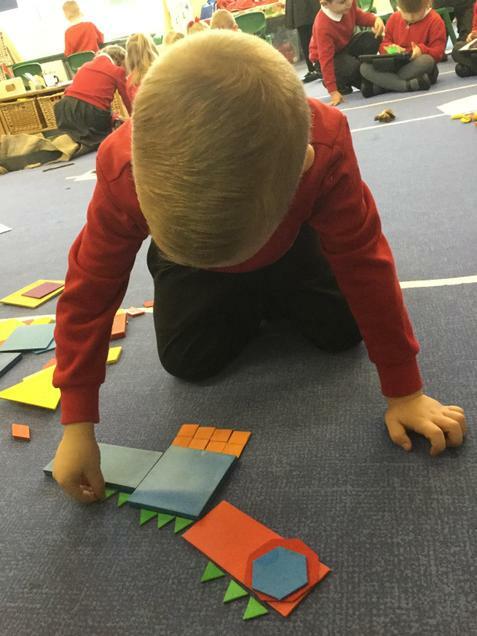 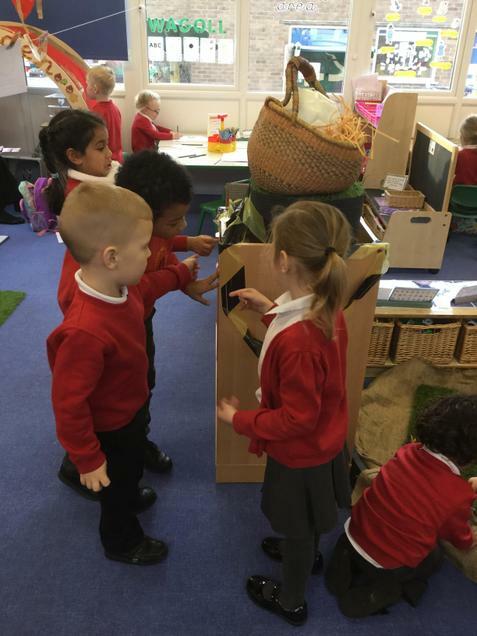 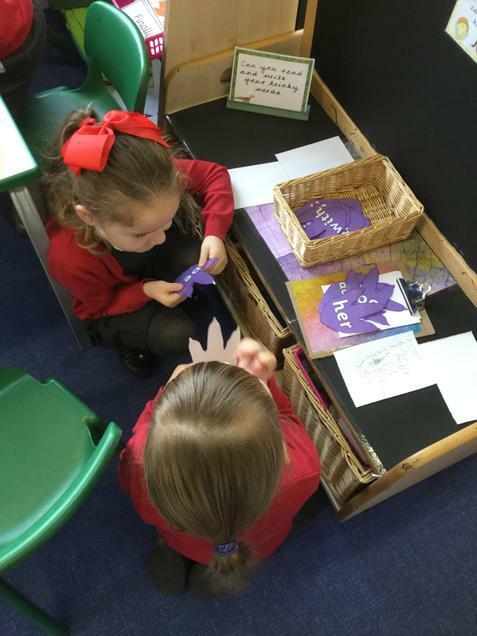 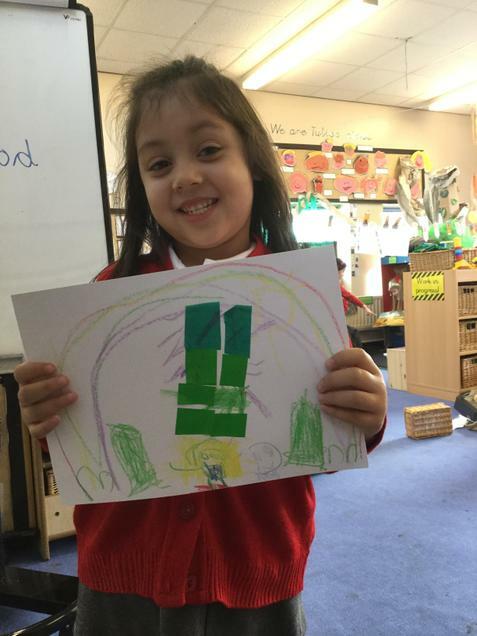 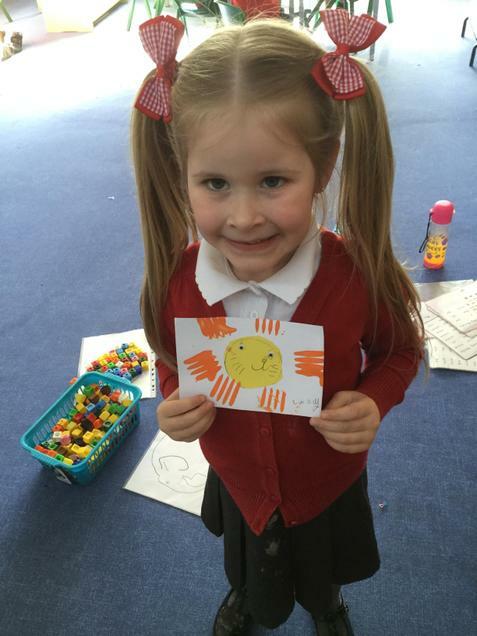 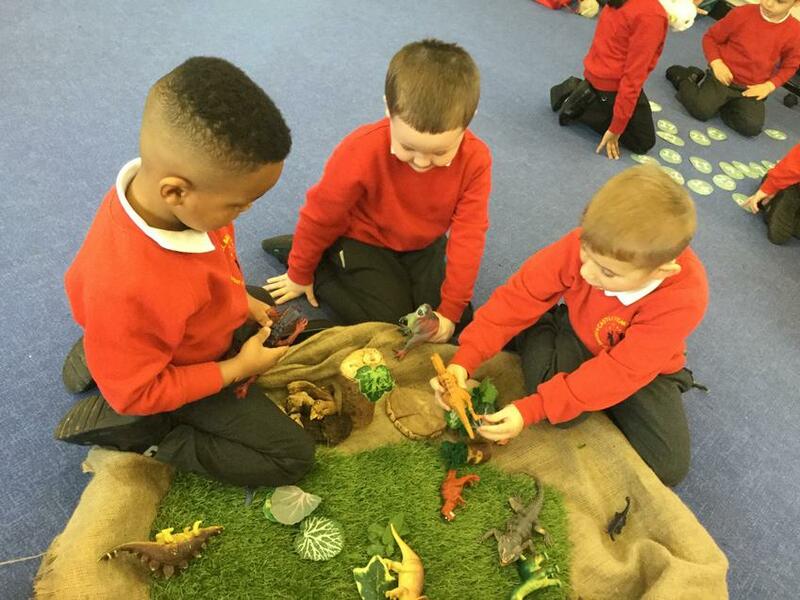 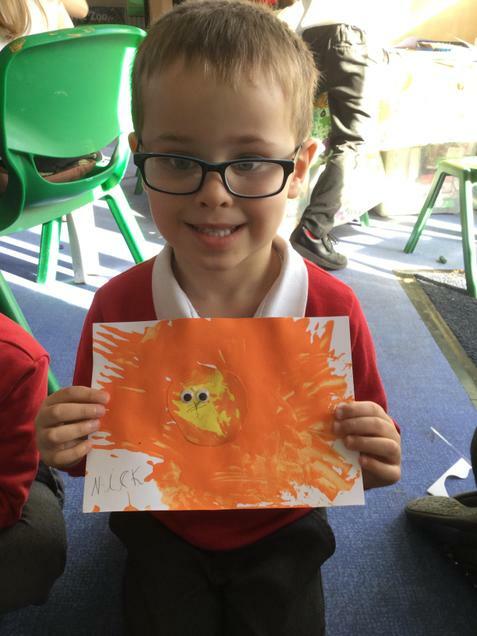 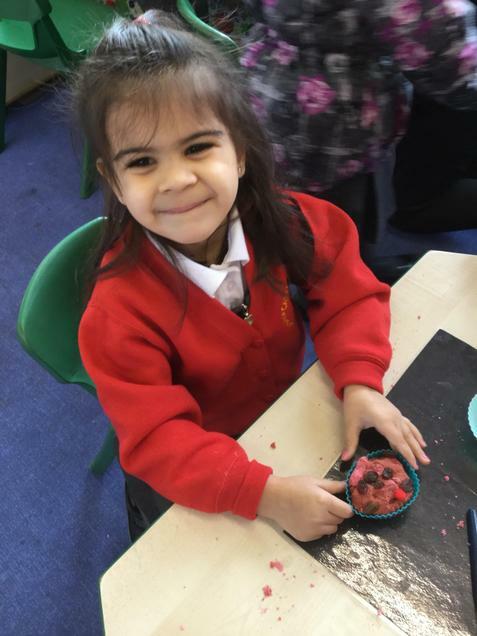 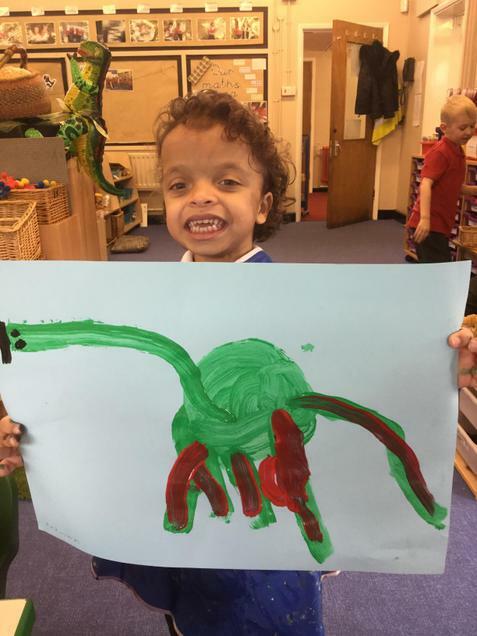 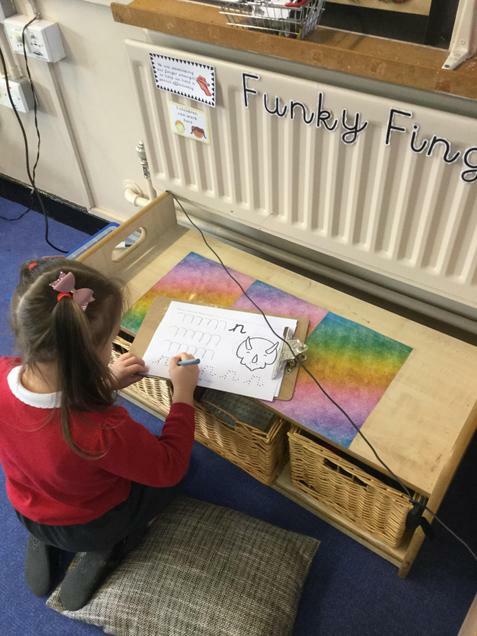 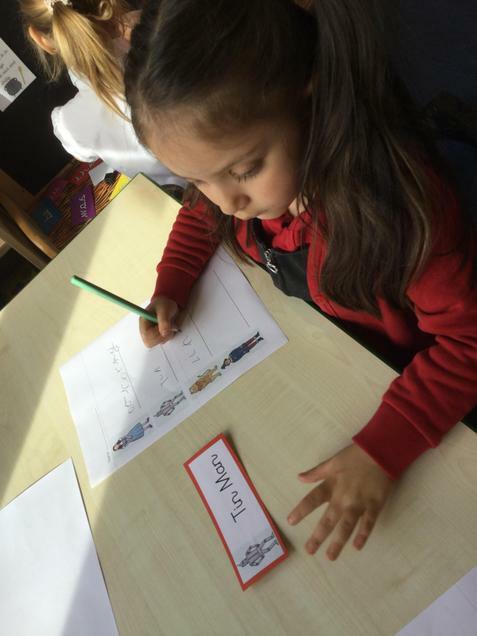 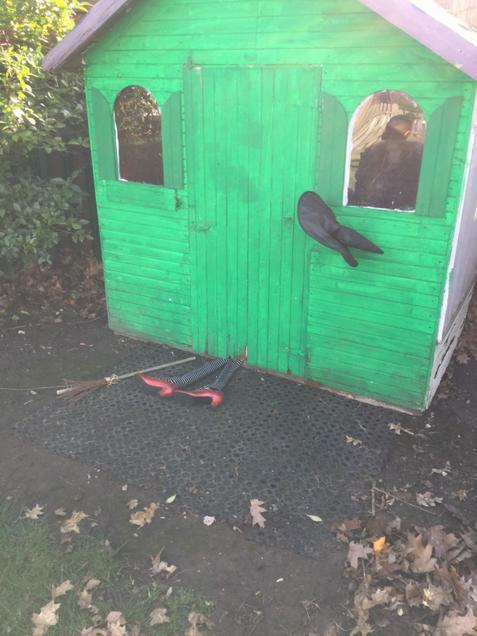 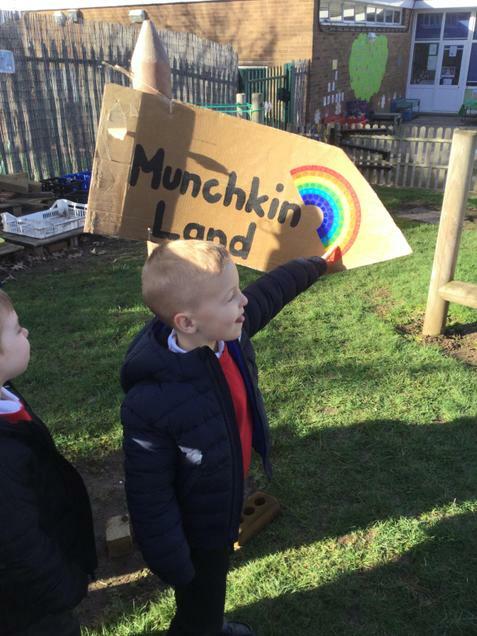 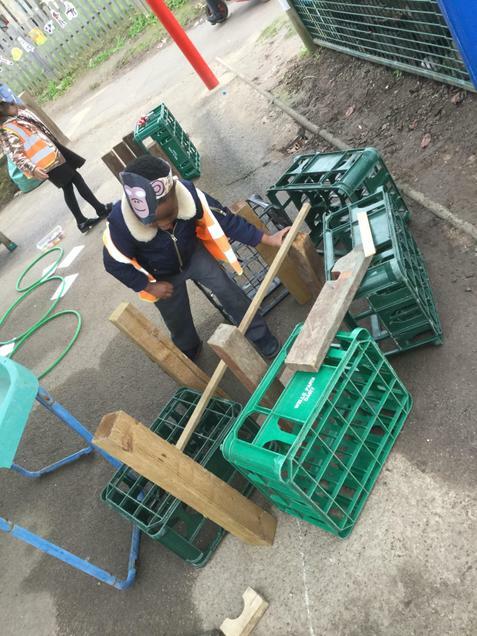 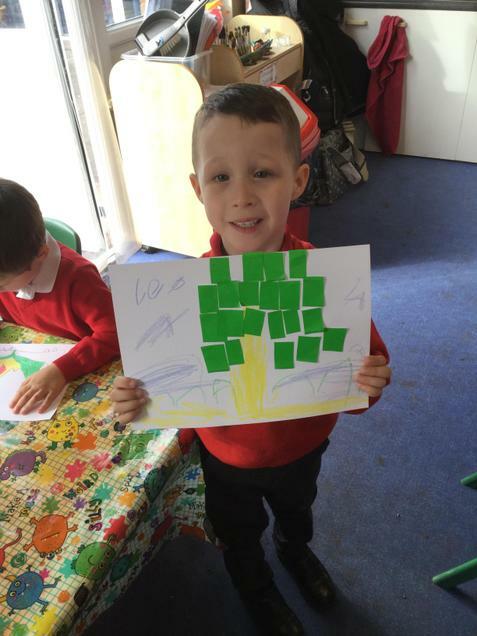 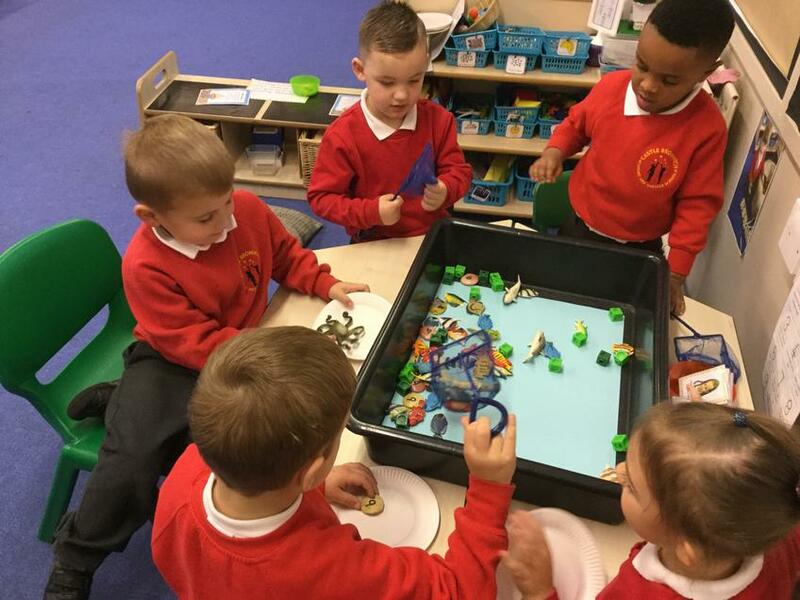 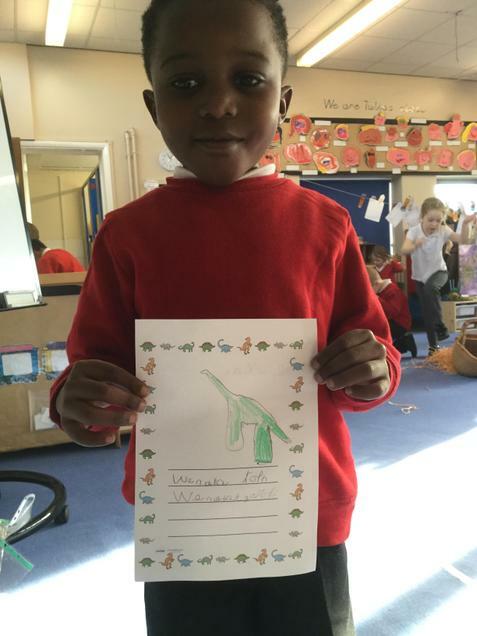 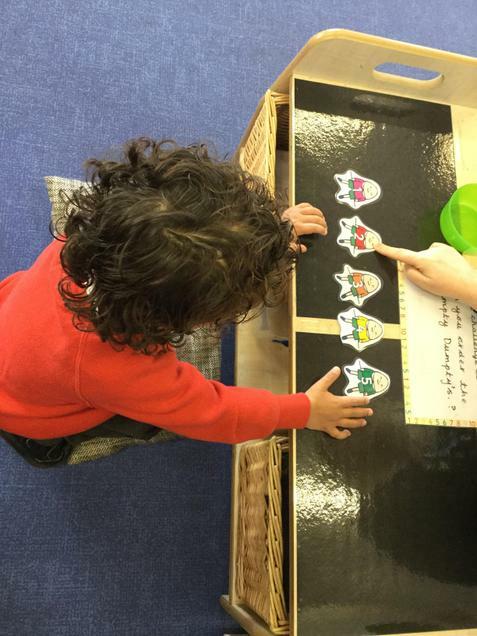 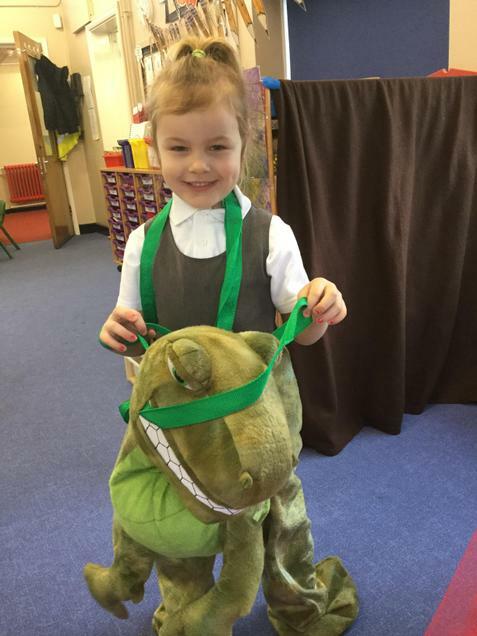 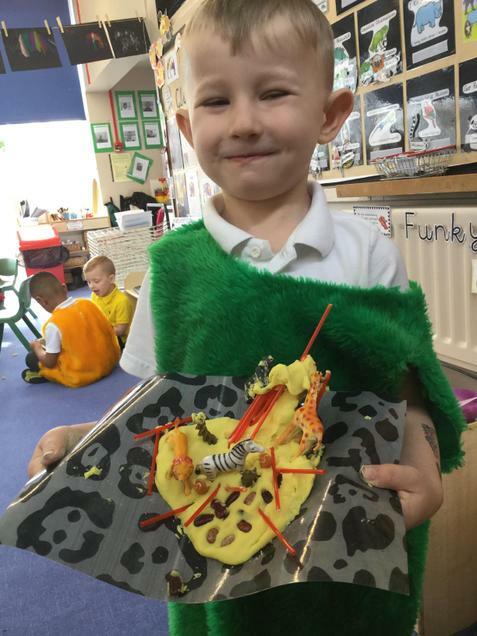 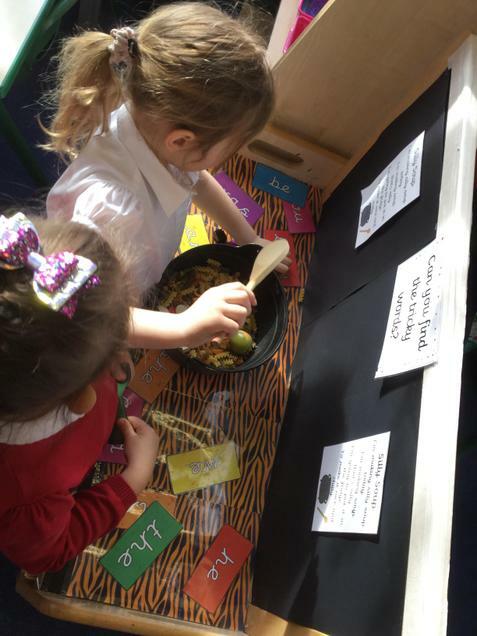 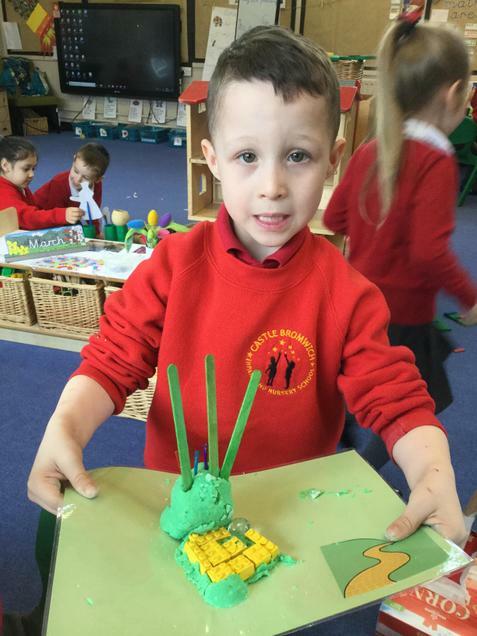 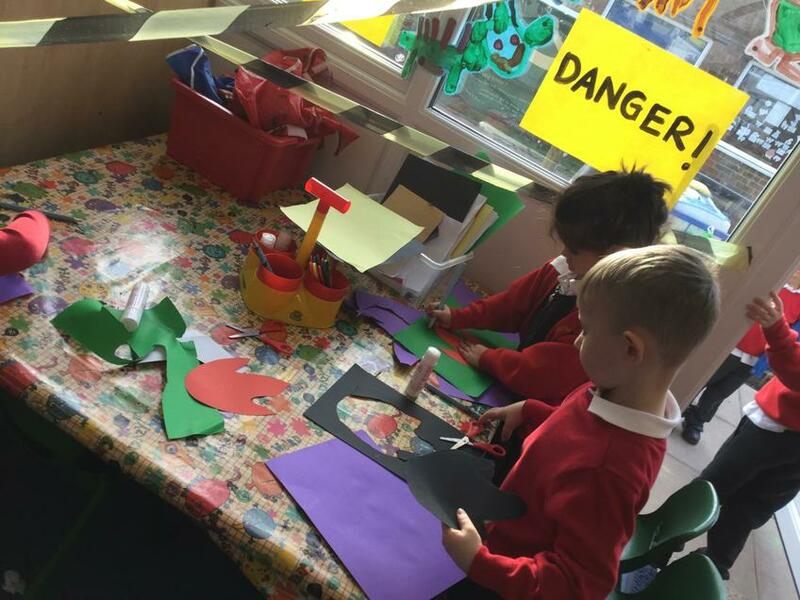 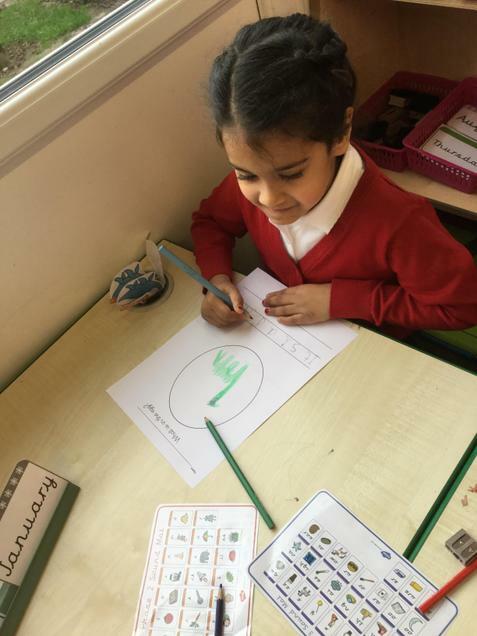 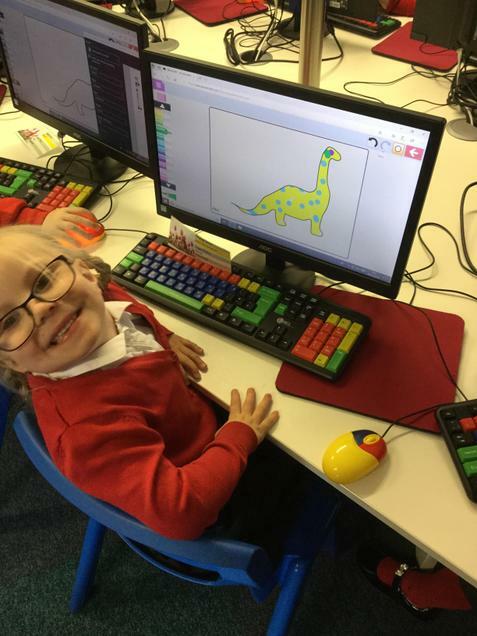 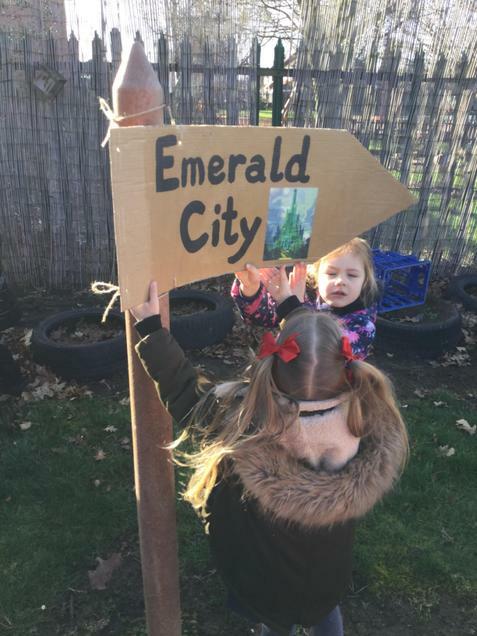 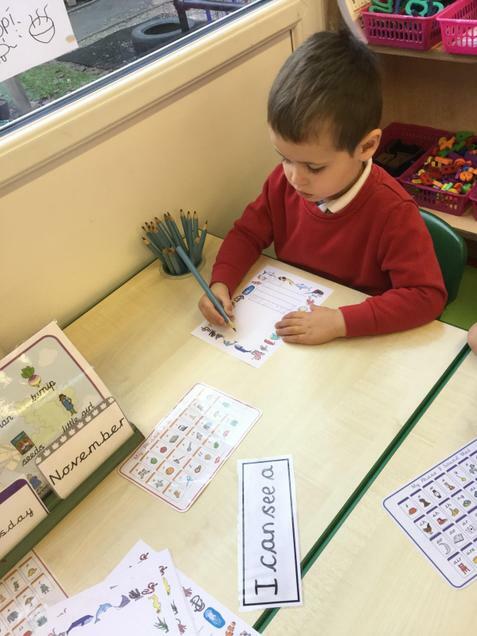 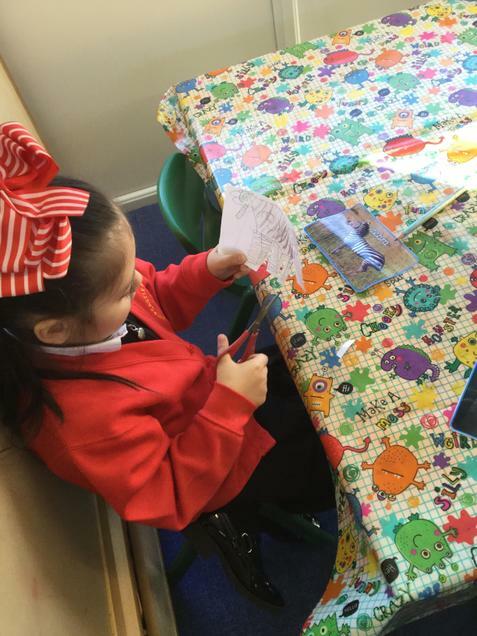 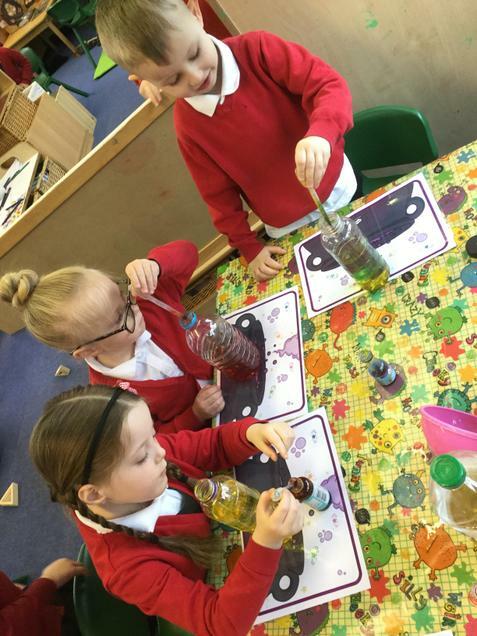 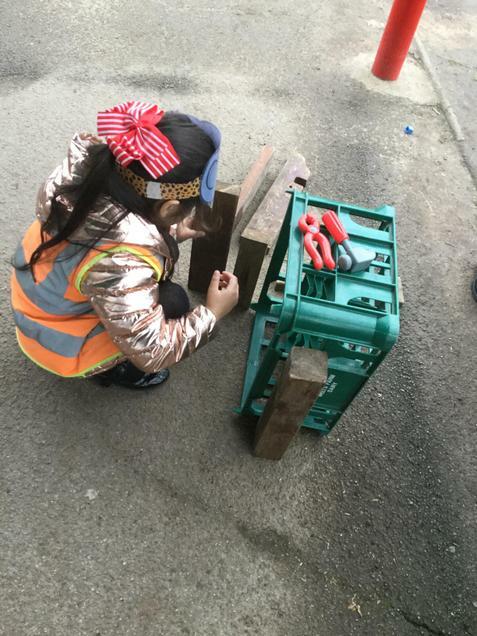 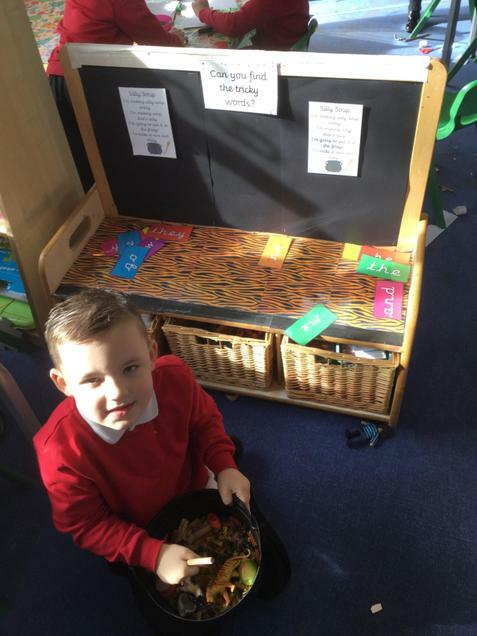 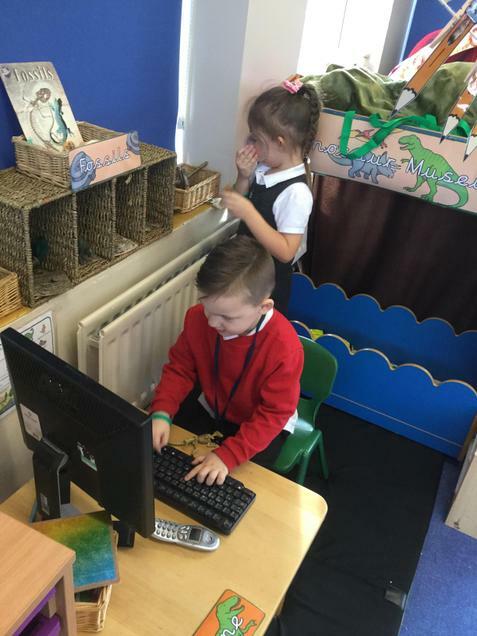 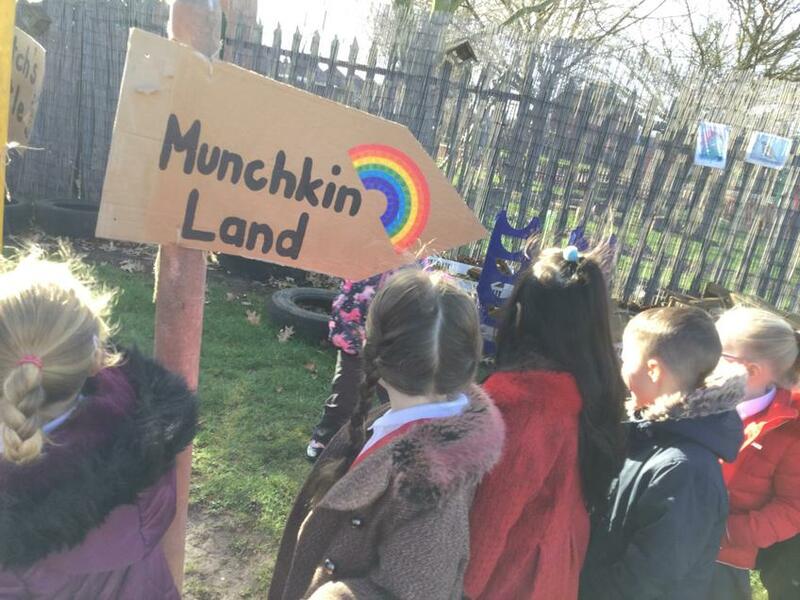 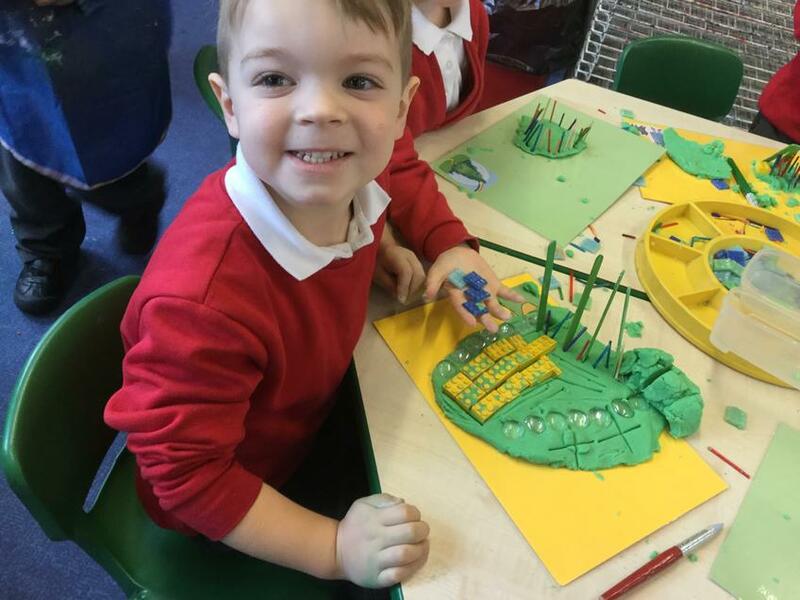 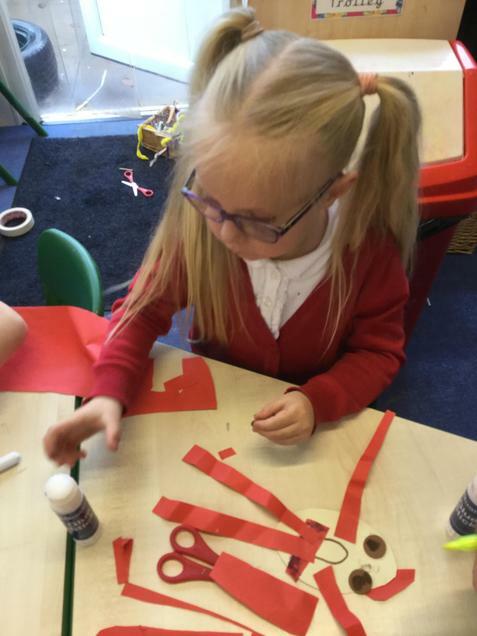 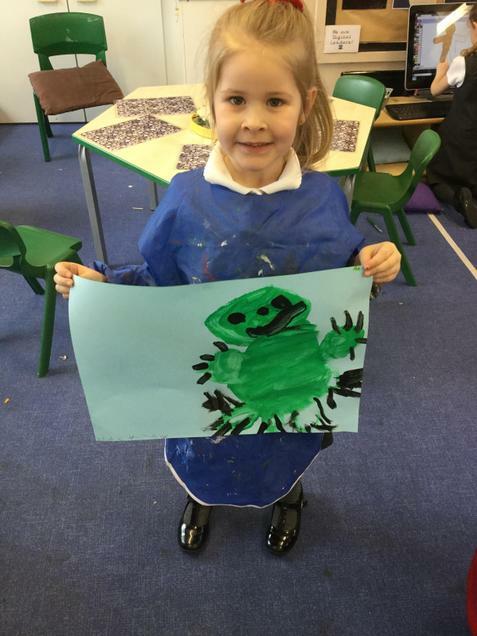 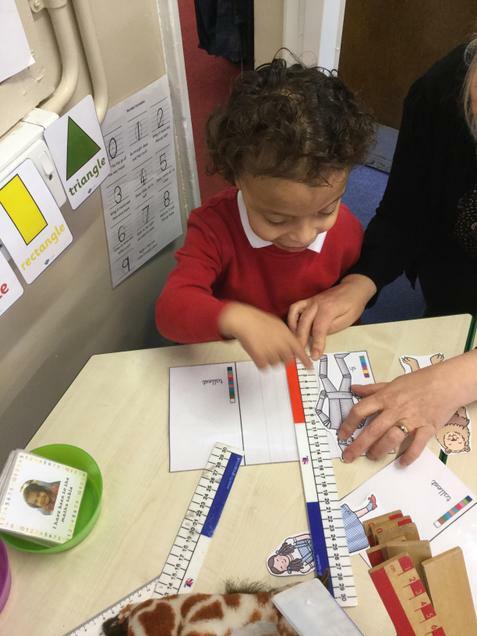 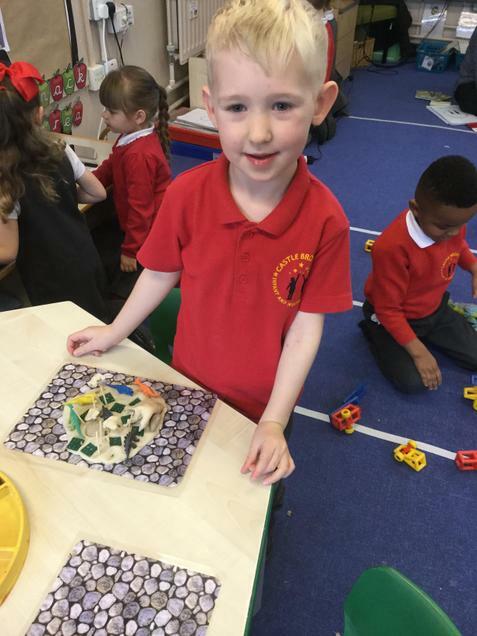 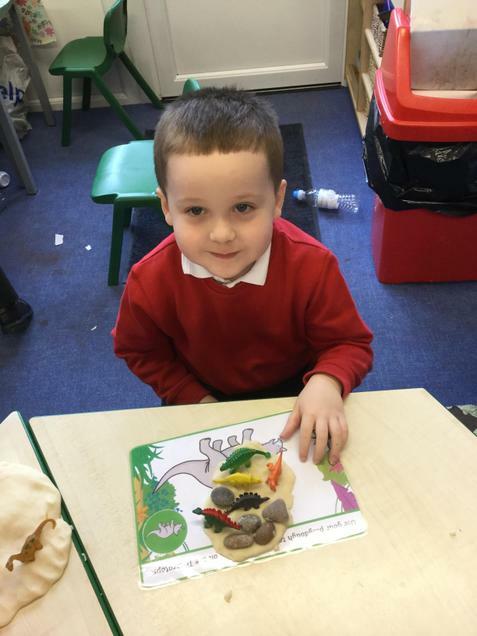 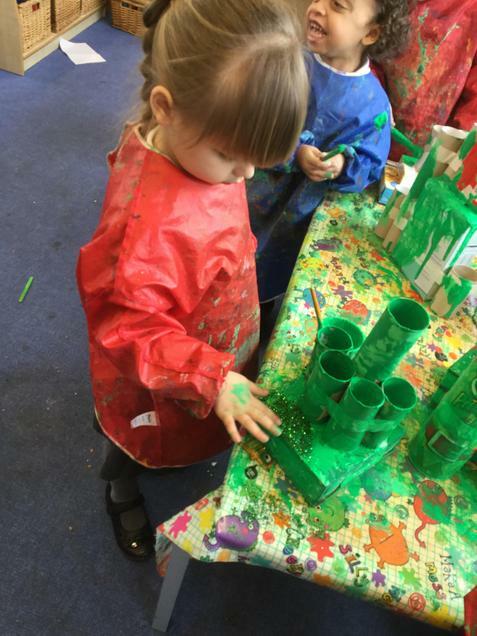 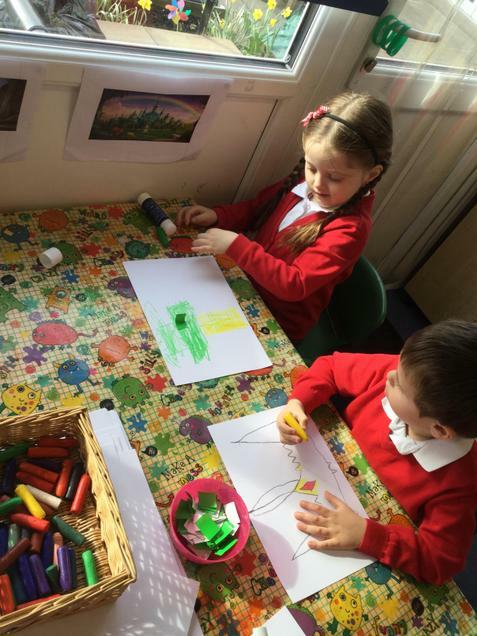 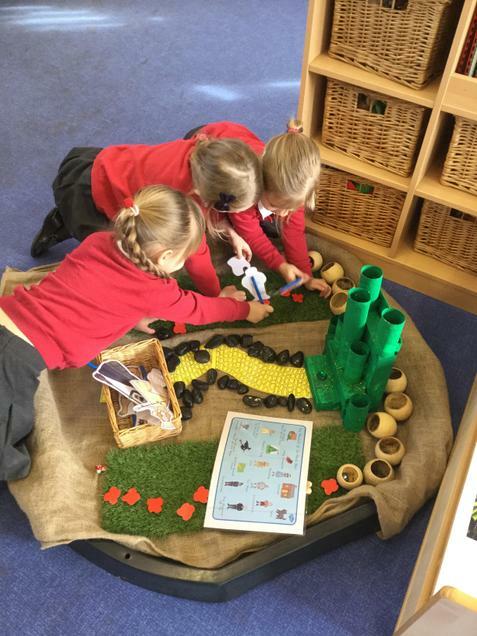 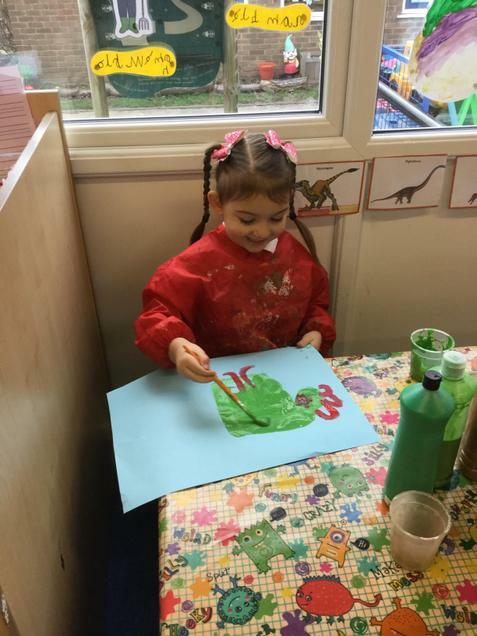 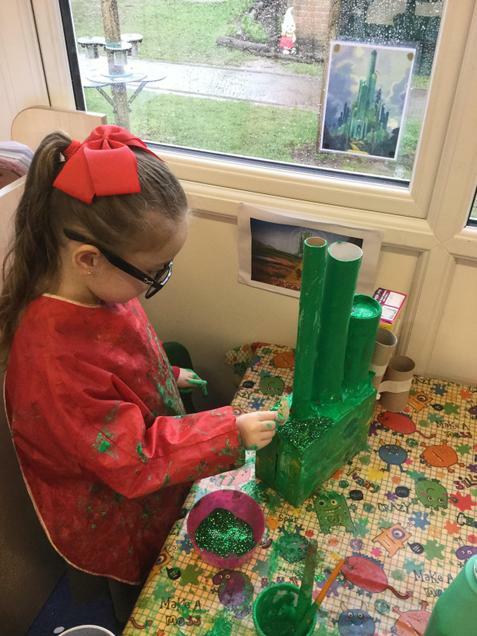 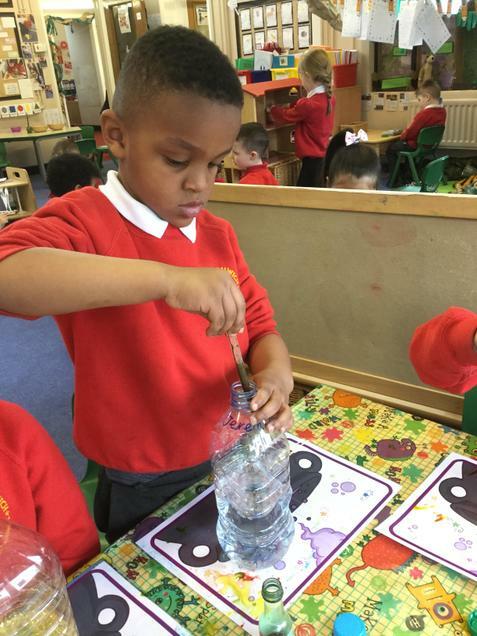 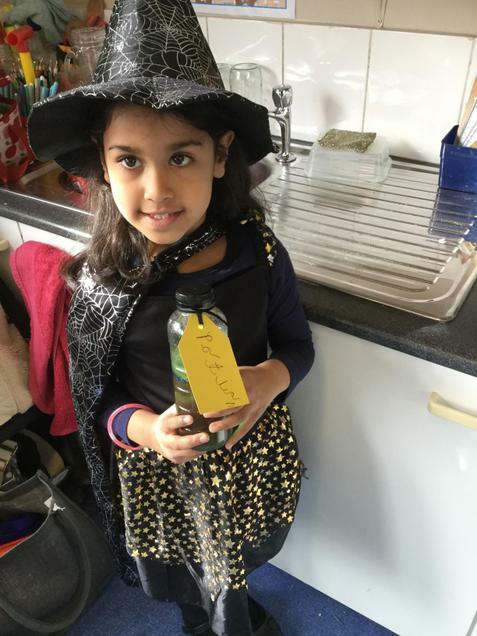 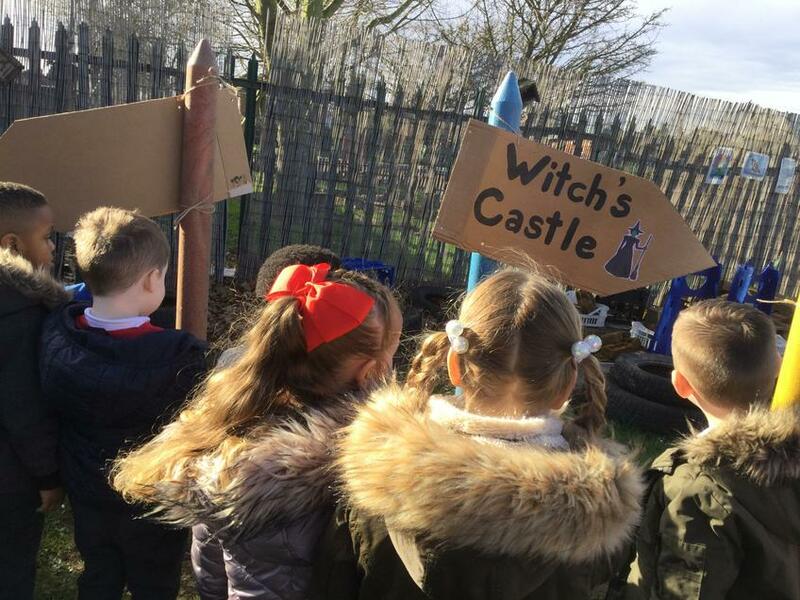 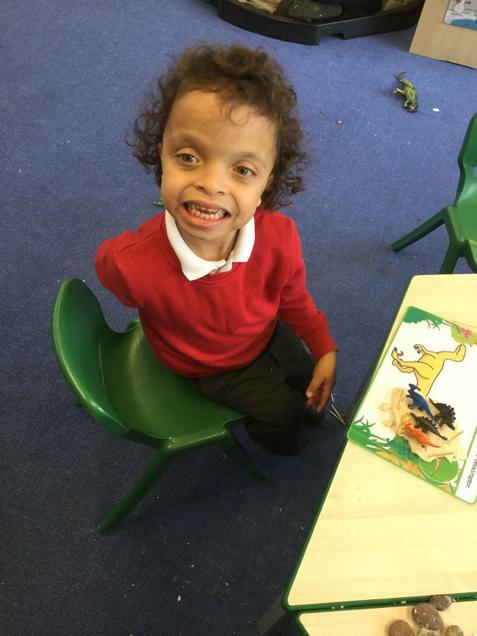 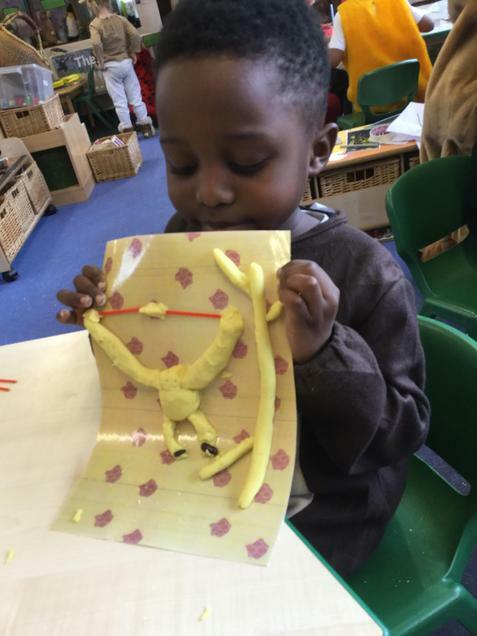 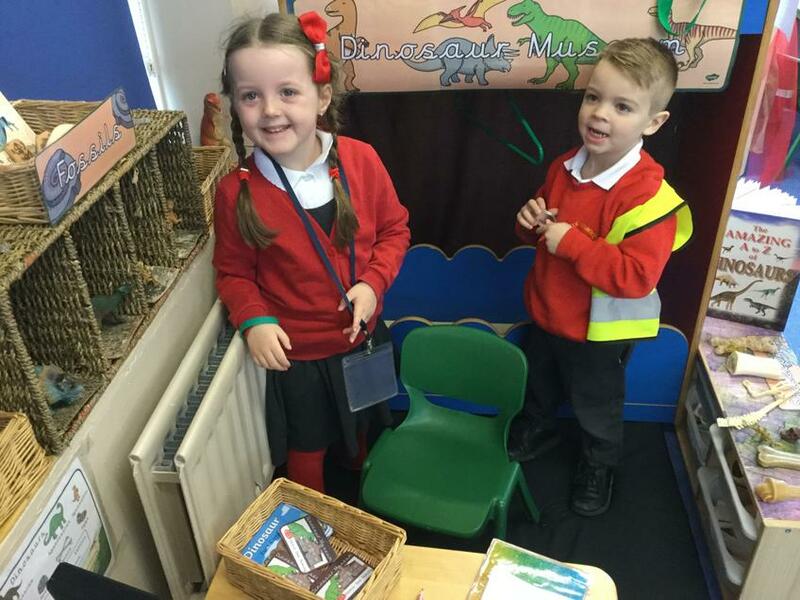 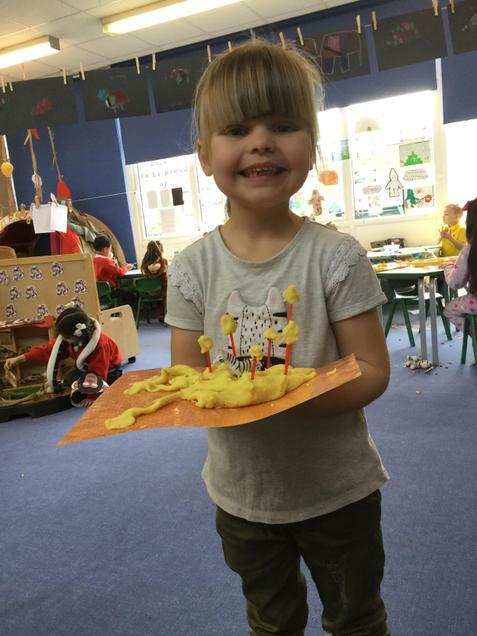 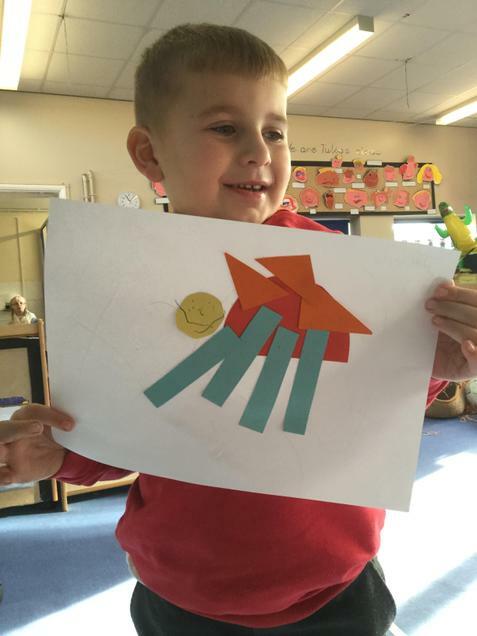 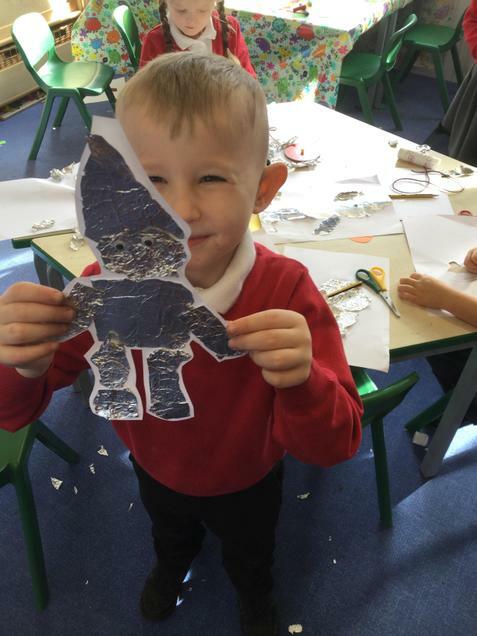 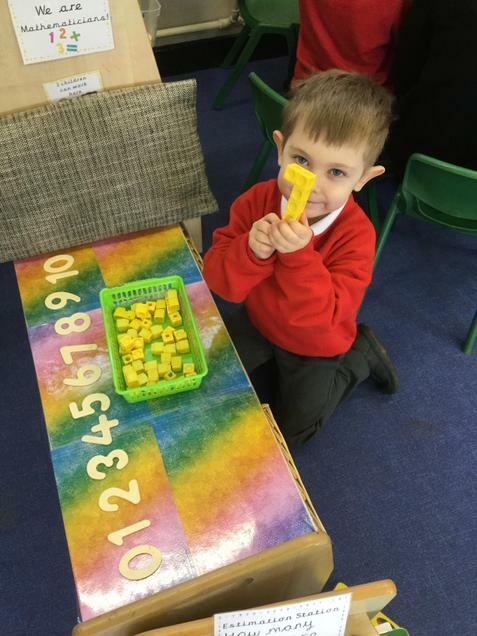 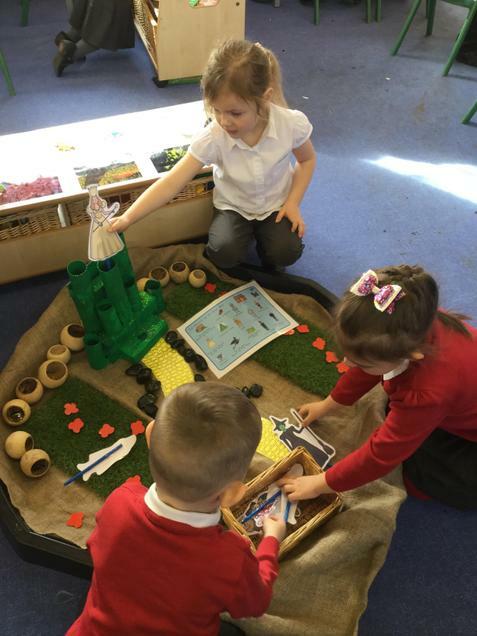 The children worked out that they were dinosaur footprints and have been searching for the missing dinosaur ever since..
We had lots of fun celebrating World Nursery Rhyme Week! 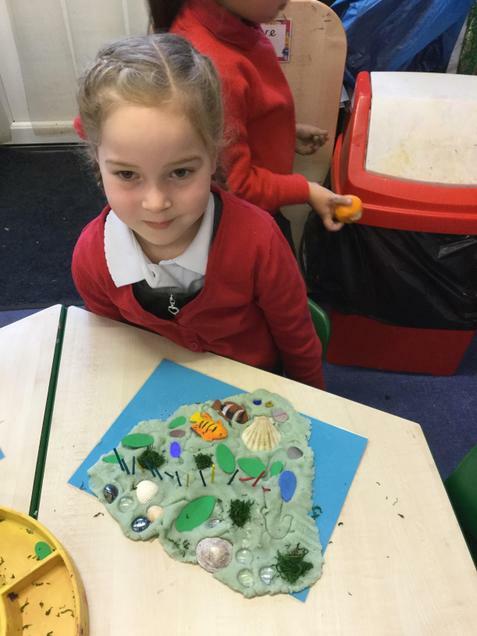 Here are some of the things we were busy doing.